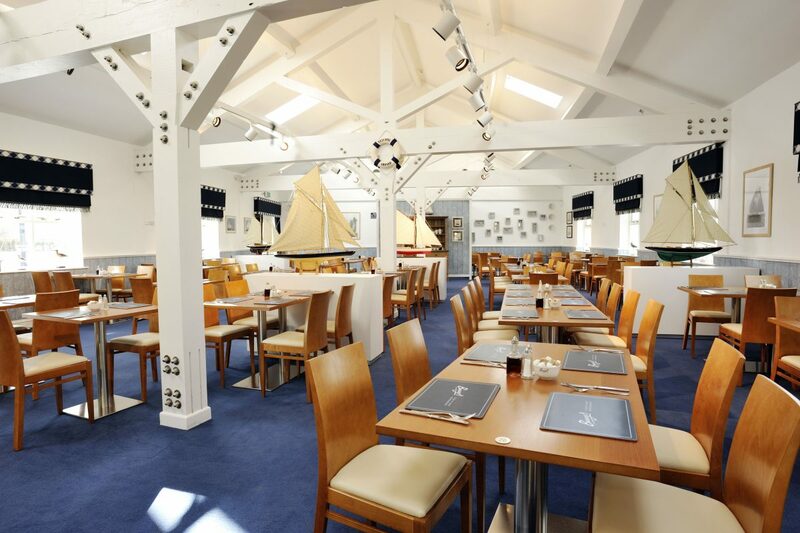 Bowman Riley was appointed to design the refurbishment of a Brasserie following the clients acquisition of an existing restaurant and hotel business as a new avenue to showcase their ales. 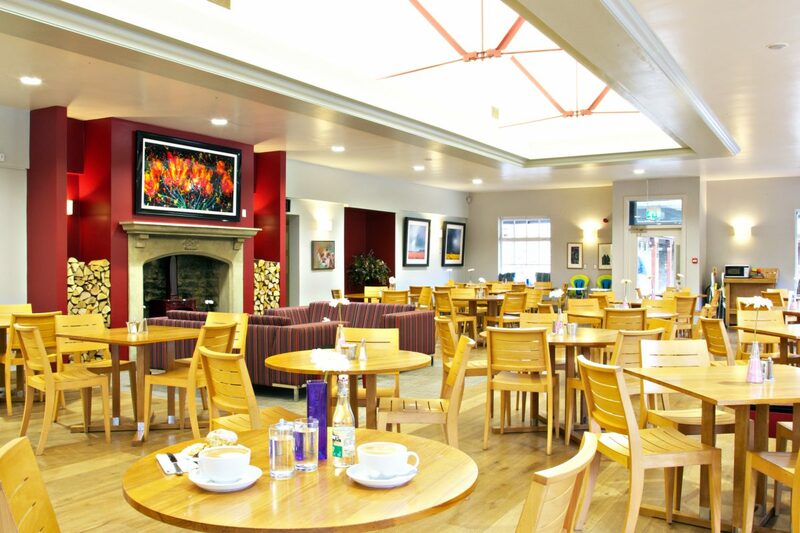 The Victorian building has been home to a vibrant bar famed for its live music, a bar and four star hotel with 13 en suite rooms and four private apartments.Our role is to make the Brasserie an even more attractive venue for local people, leisure visitors and delegates using the nearby conferencing facilities throughout the year. Inside you’ll find a bustling Parisian inspired decor. Black and white photos of classic film stars and renowned jazz musicians adorn the walls, dotted with unusual focal pieces collected over the Brasserie’s 25 year history. 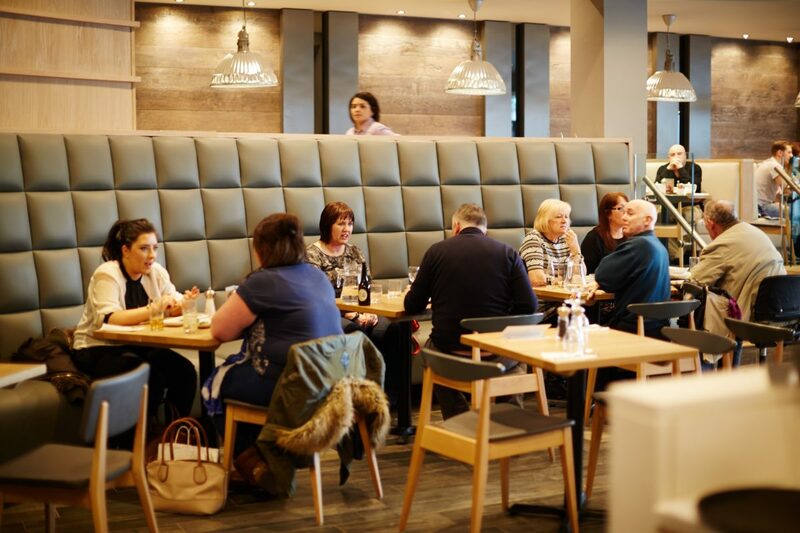 Wrap this all up a in relaxed and friendly atmosphere, the hands-on team in the bar, restaurant and kitchen create a very welcoming evening or stay. 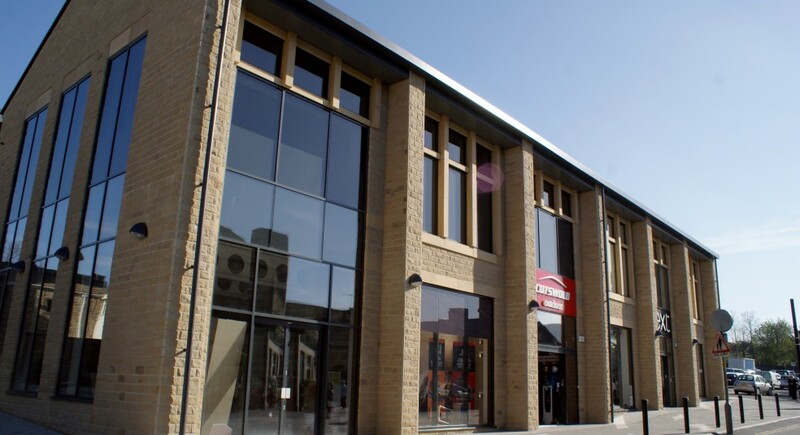 Designed by Bowman Riley, Albion Place is a new award-winning 46,500 ft² retail development on Skipton High Street. 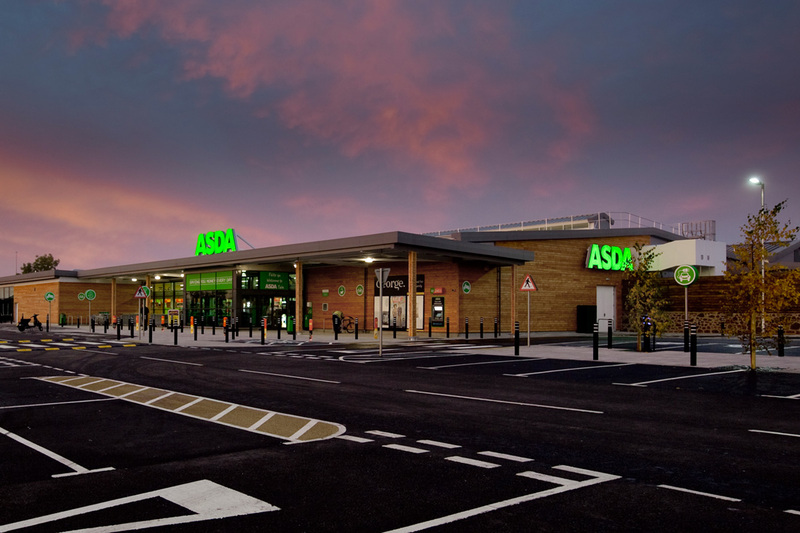 The development reinforces the North Yorkshire market town as a retail destination and is a boost to the local economy. The development involved the demolition of an unpopular 1960s building to make way for new retail units totaling 4000m² and a 650m² restaurant unit. 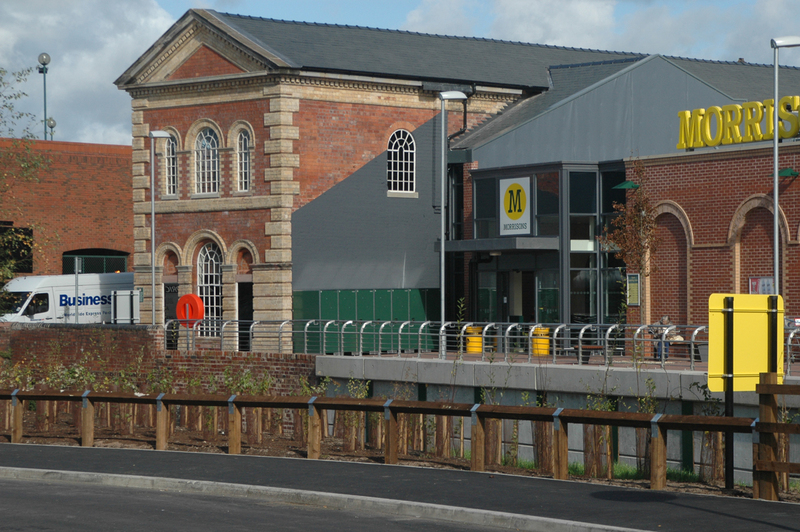 In addition, we designed improvements to the public realm including the creation of Museum Yard, a unique space located behind the High Street. 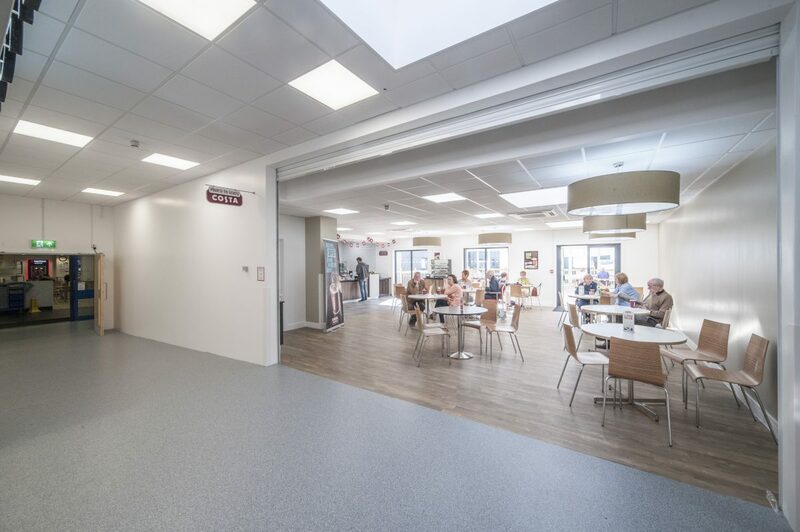 This space provides perimeter seating and a space for community events such as exhibitions, stalls and performances. 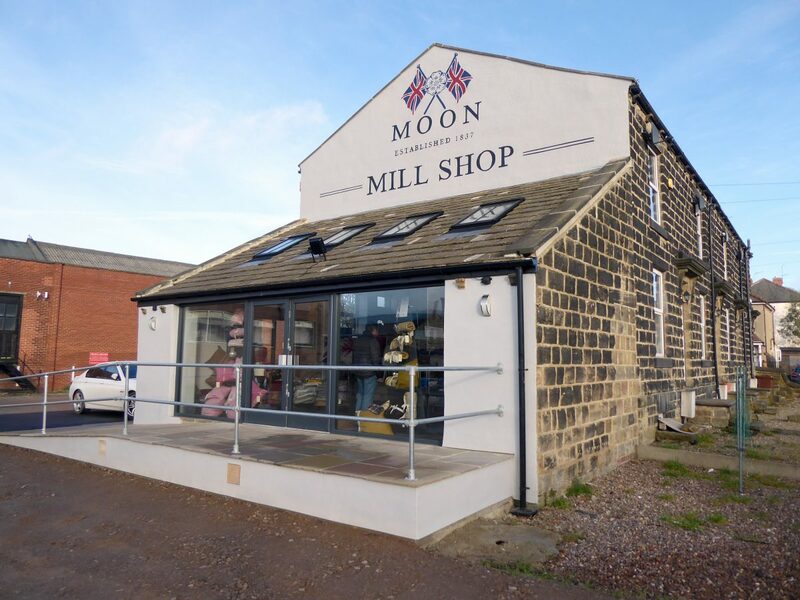 Designed to be contemporary yet sympathetic to the historic grain of the town centre. 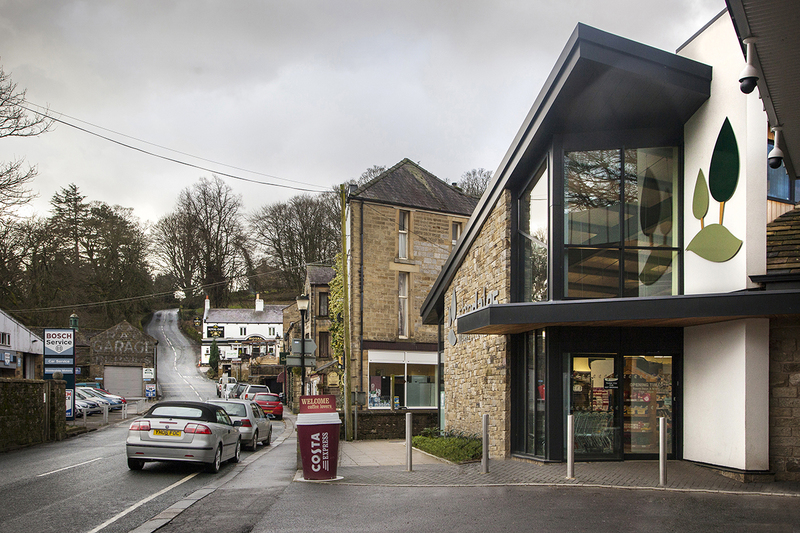 Bowman Riley carefully considered the design of Albion Place and its proximity to Skipton’s medieval Castle and Holy Trinity Church. 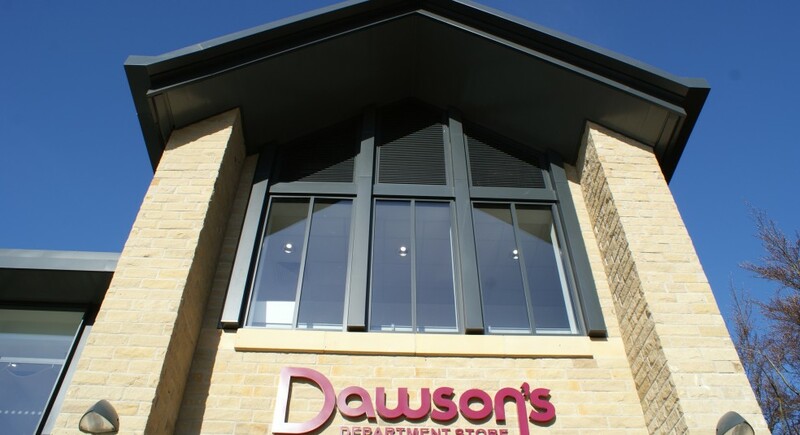 The development features natural stone, glazing and slate roofs to reflect the high quality built environment and to set the standard for future developments in this picturesque town. 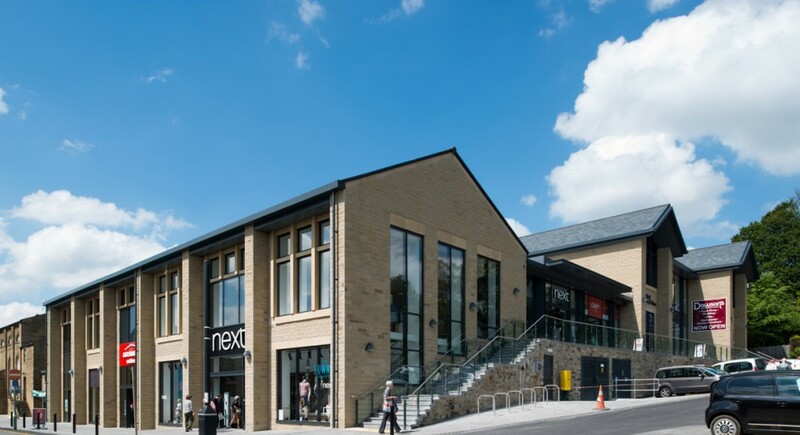 95% pre-let prior to opening, Albion Place provides Skipton with larger scale retail units accommodating a mixture of national and local tenants: Next, Pizza Express, Cotswold Outdoors, Pavers Shoes, Cotton Traders, Dawson’s Department Store and Chevin Cycles Otley. 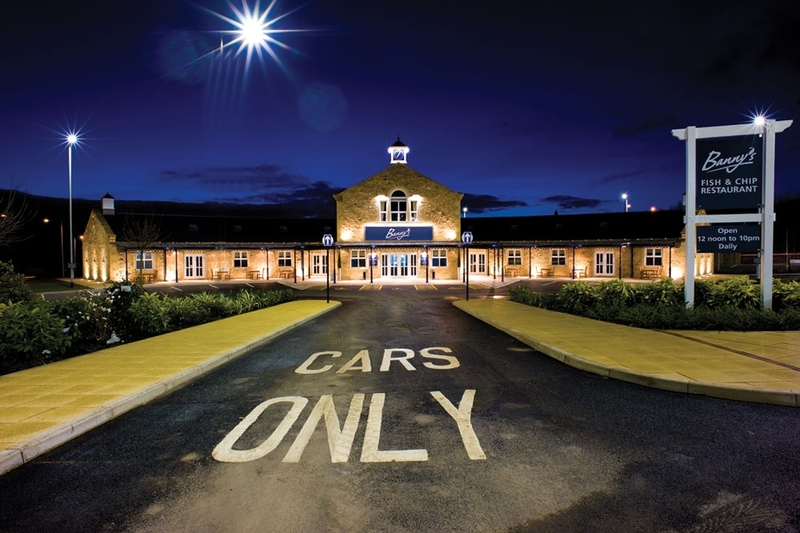 Albion Place was awarded the top prize of ‘Development of the Year 2014’ at the Yorkshire Insider Property Awards. 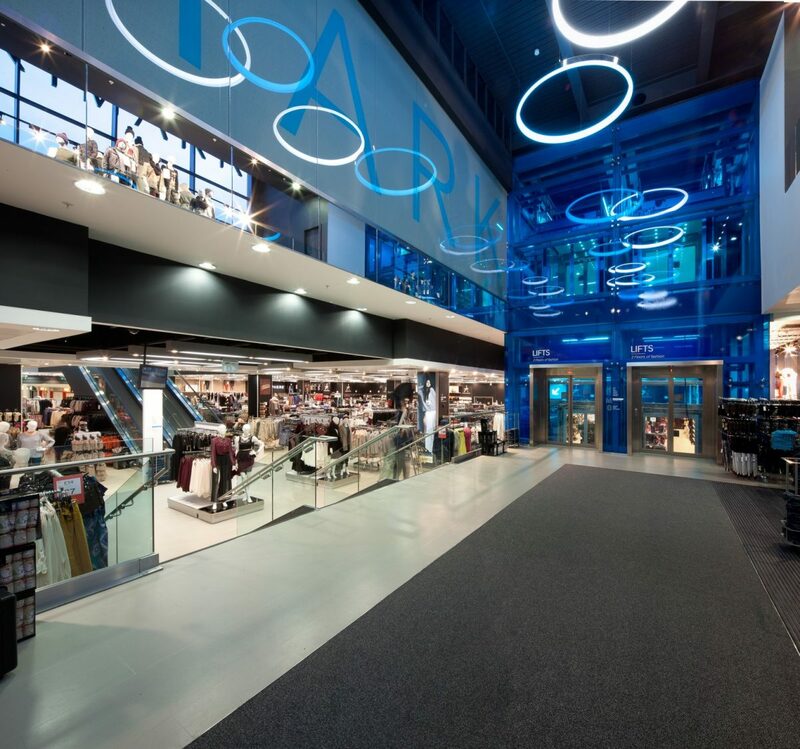 Bowman Riley has been working at White Rose in Leeds for the past 12 years providing architectural services to refurbish and extend the shopping centre and improve the overall masterplanning of the site. 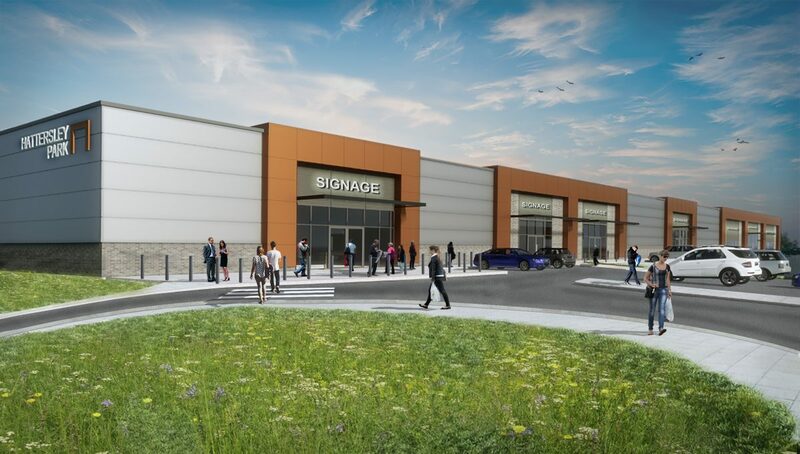 White Rose has held a secure position within the Leeds economy for over 20 years housing over 100 stores occupying a 76-acre site on the outskirts of Leeds. 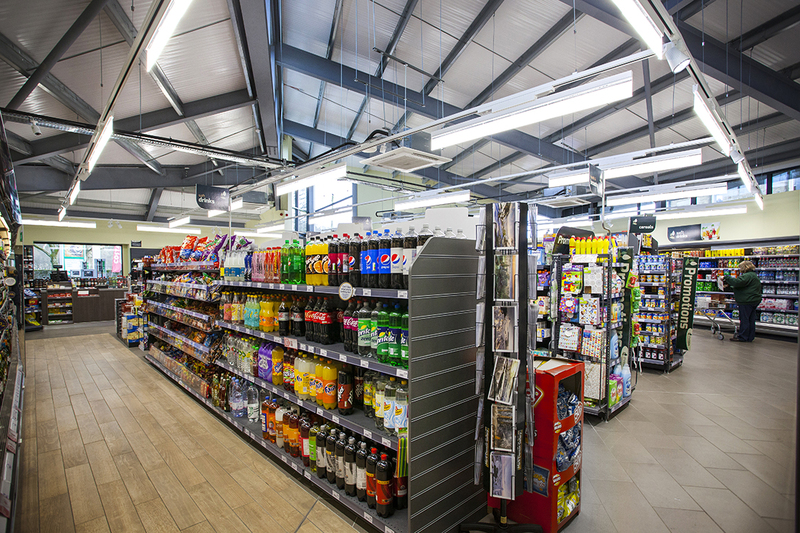 Through constant evaluation of customer and retail trends, White Rose has actively evolved to meet the needs of both tenants and the local population. 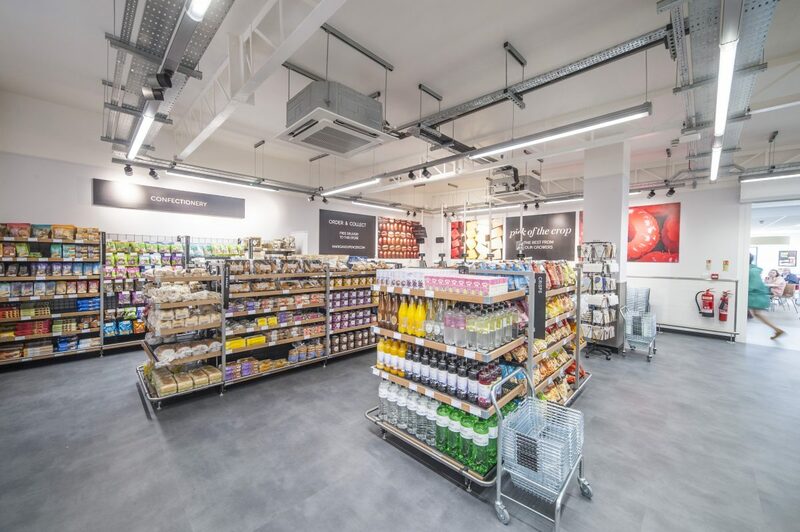 This ensures White Rose continues to operate as a highly successful commercial venture despite its proximity to the main retail hub of Leeds city centre. 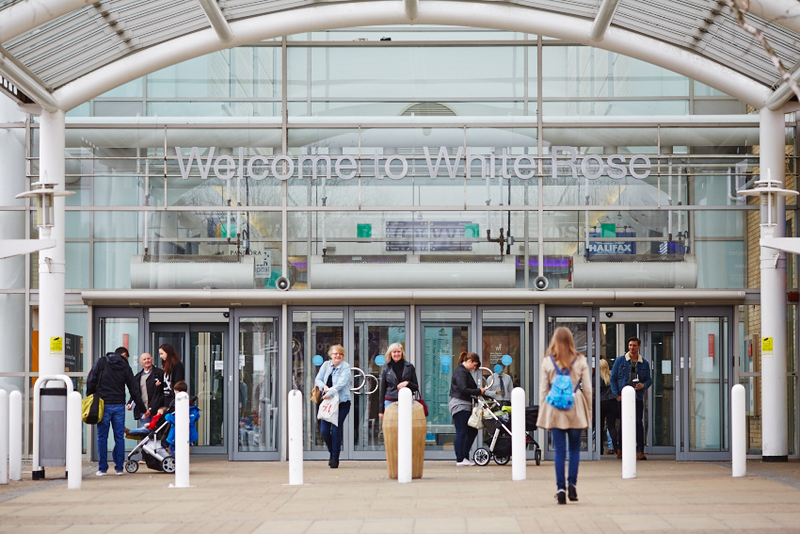 Landsec aspired to increase the food and leisure offer bringing cinema and additional restaurants into White Rose to increase the offer for customers and improve the economic return for tenants. 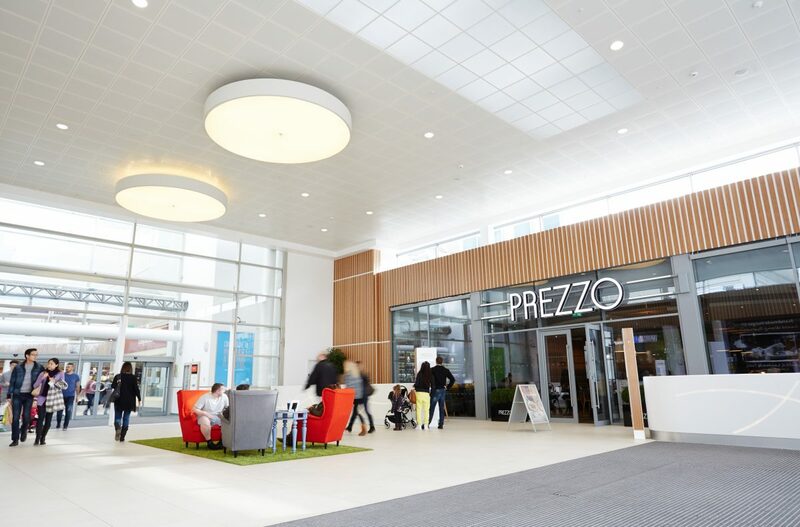 Alongside feasibility studies for the cinema, we designed a 1,000m² extension at the Upper Trading Level to improve the underused entrance to the shopping centre through the food court. 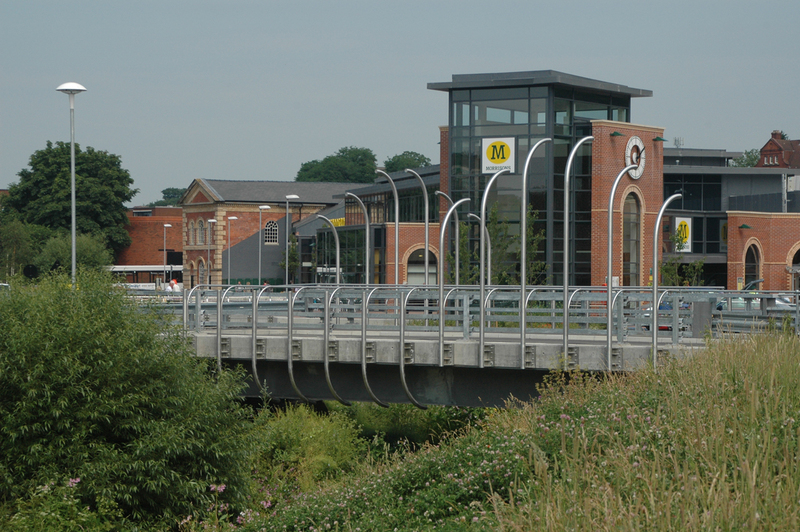 The new 11m wide mall extension replaced a pedestrian bridge link from the car park into the centre. 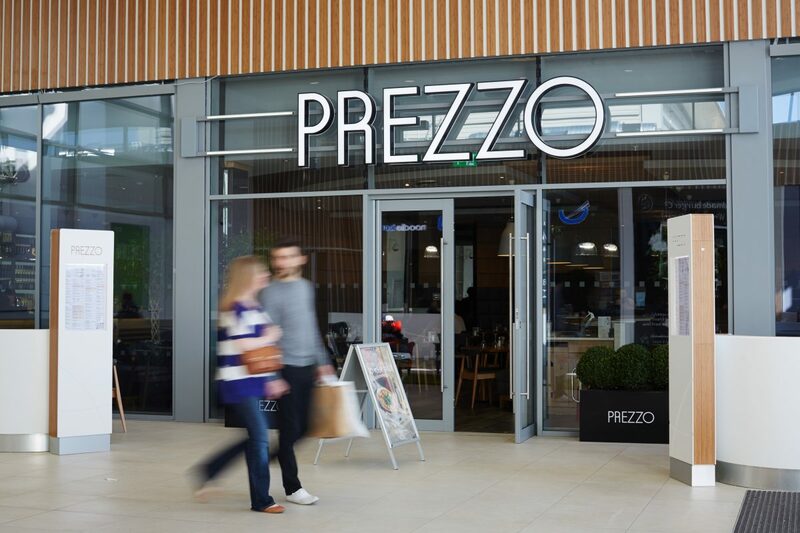 The new mall provides a large events space, kiosks and seating for three new restaurant units occupied by Prezzo, Handmade Burger Co and Wok & Go. 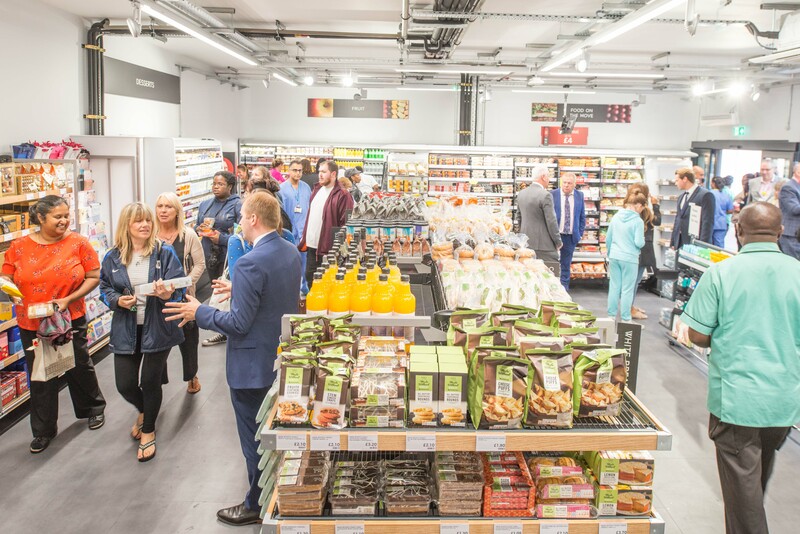 The facilities along with the new cinema extend the centre’s vibrancy into the evenings and help increase customer dwell time. 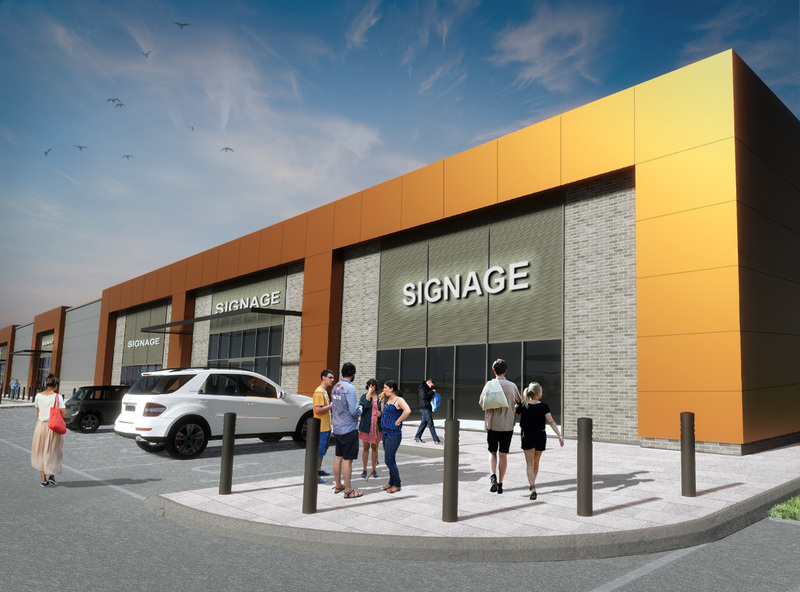 Secured planning consent for 2,048m² additional retail space and 1,850m² restaurant space. 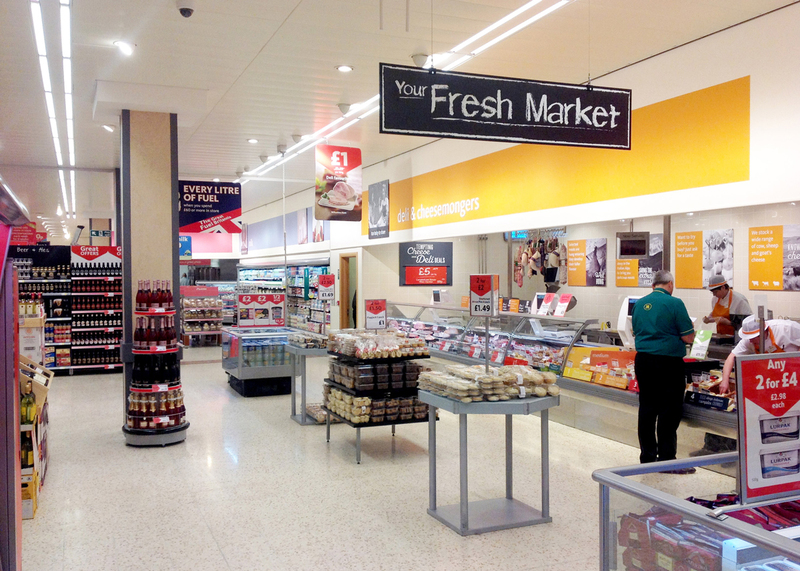 Refurbishment of four units on the upper trading level for occupation by Frankie & Benny’s. 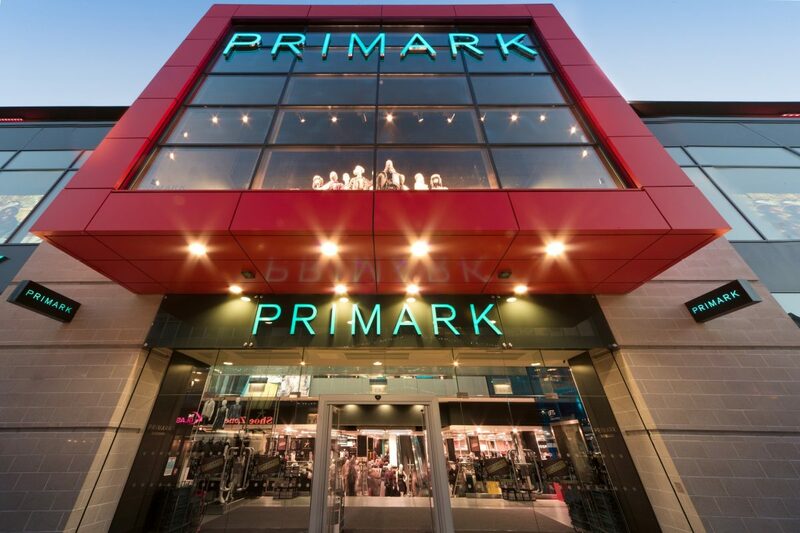 Raised the roof level over a 1,262m² retail unit to accommodate the incoming tenant, fashion retailer H&M’s requirement for an increased mezzanine floor height. 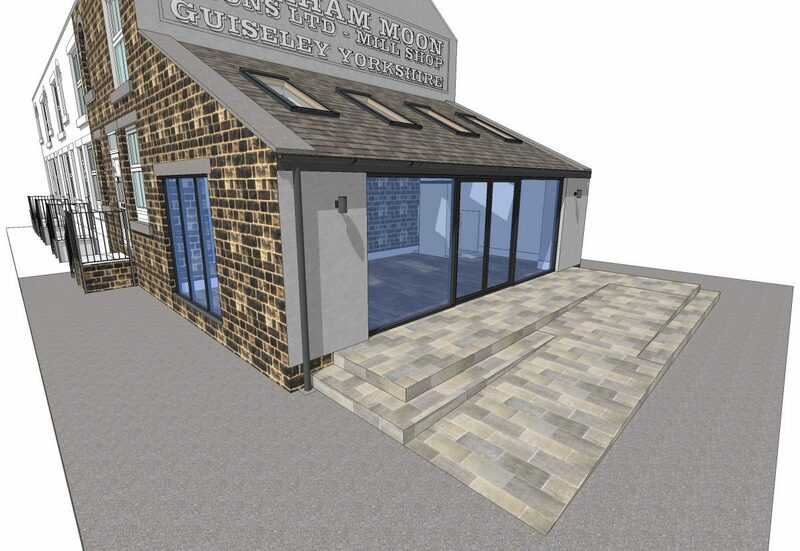 Retail unit amalgamation together with a 368m2 two storey new build extension for WH Smith. 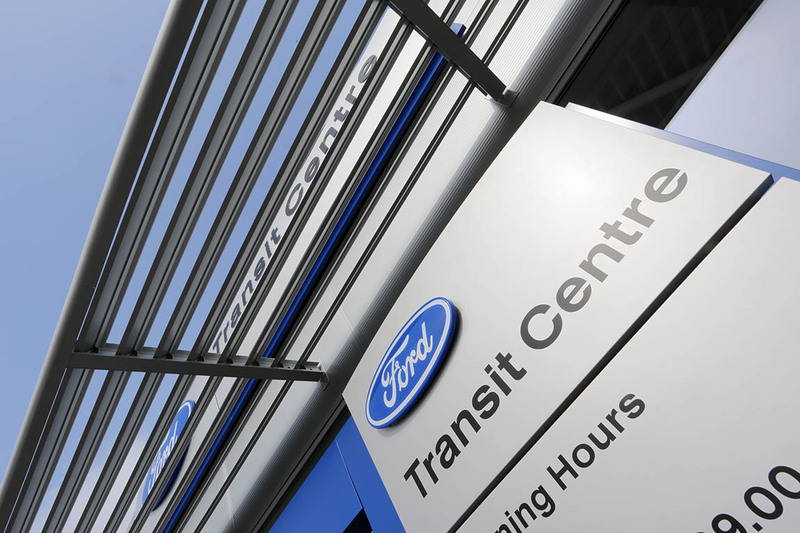 Refurbishment of the on-site bus station car park including two new kiosks and AV timetable display within the mall. 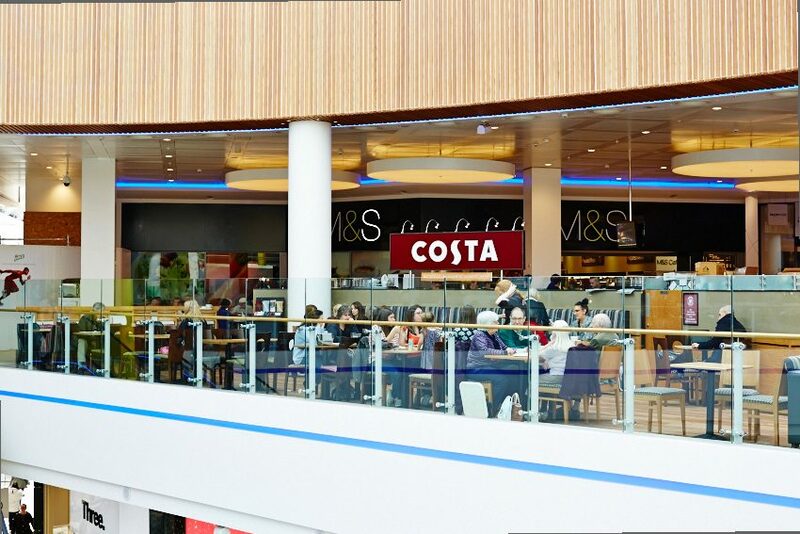 Undertaking projects in a live shopping centre environment led to careful planning and phasing of construction works to minimise disruption to the customer experience and ensure the health and safety of the public. 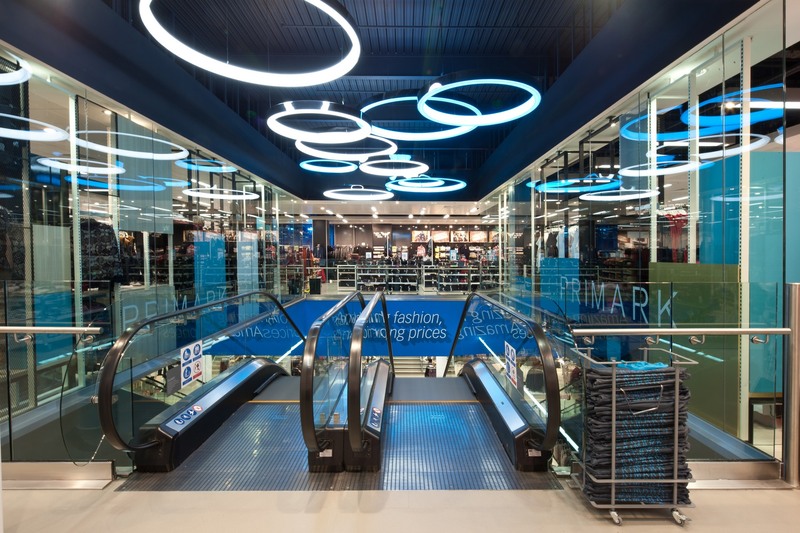 Images courtesy of White Rose Leeds. 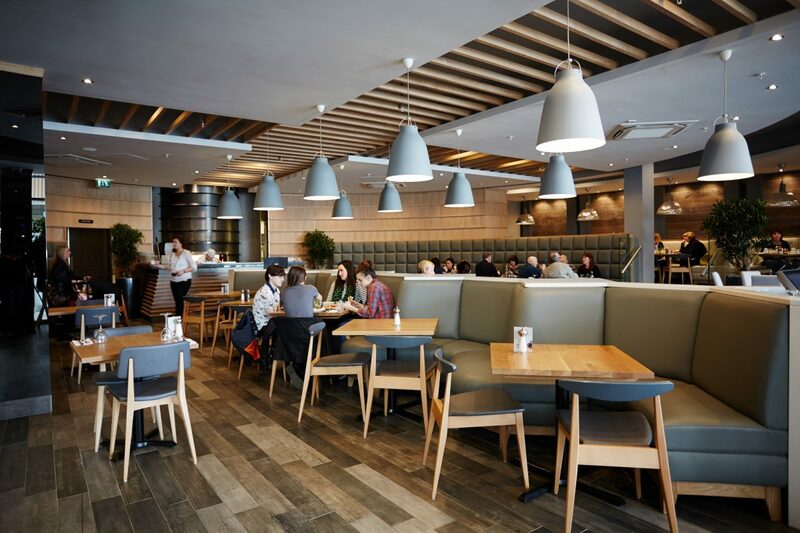 Bowman Riley Interiors provided technical support and interior design advice on HOME, a new fine dining restaurant on Kirkgate in Leeds city centre. 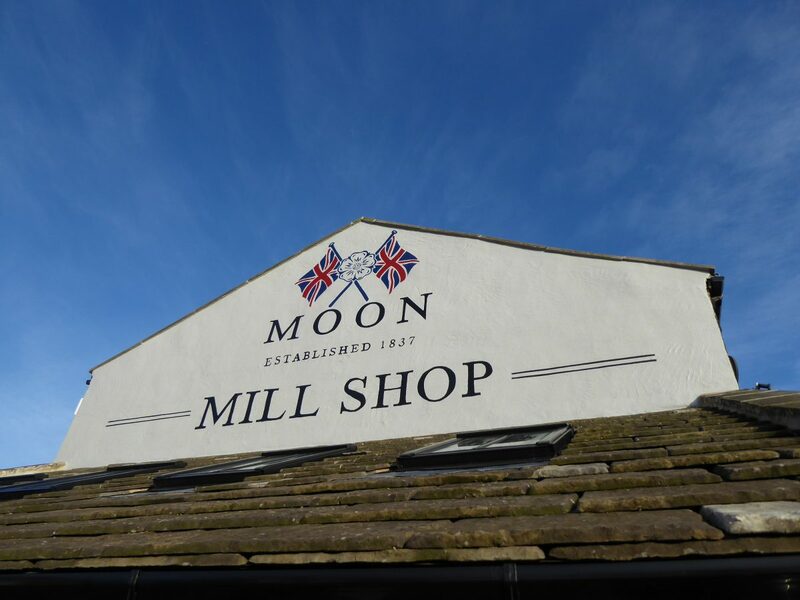 HOME is the creation of Elizabeth Cottam, the semi-finalist of 2016 BBC MasterChef and Mark Owens, former Head Chef at the Michelin-starred The Box Tree in Ilkley. The 3669 ft2 venue was previously a dance hall, billiard club, cinema and most recently an Indian restaurant. Bowman Riley helped with the transformation of the space into a unique contemporary 65 cover restaurant with bar area. 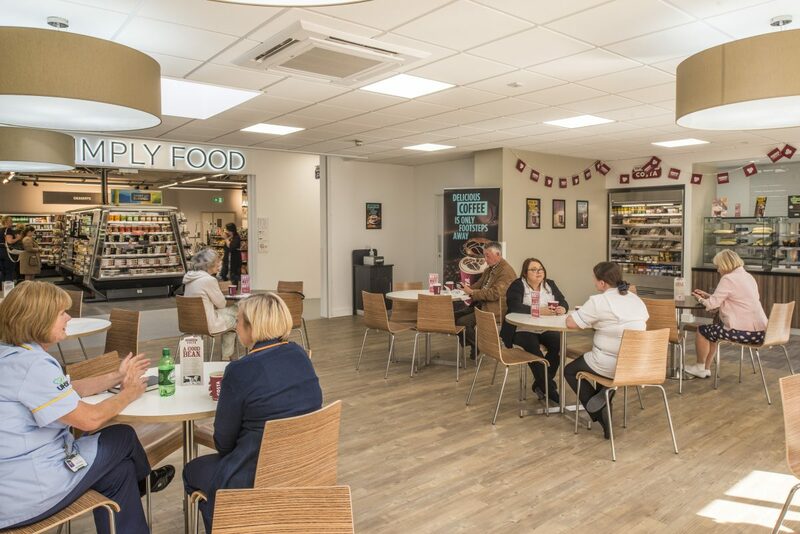 Our role involved liaison with the contractor and building control to ensure the smooth delivery of the fit-out of the restaurant. The design concept for HOME is inspired by the Scandinavian theme Hygge. 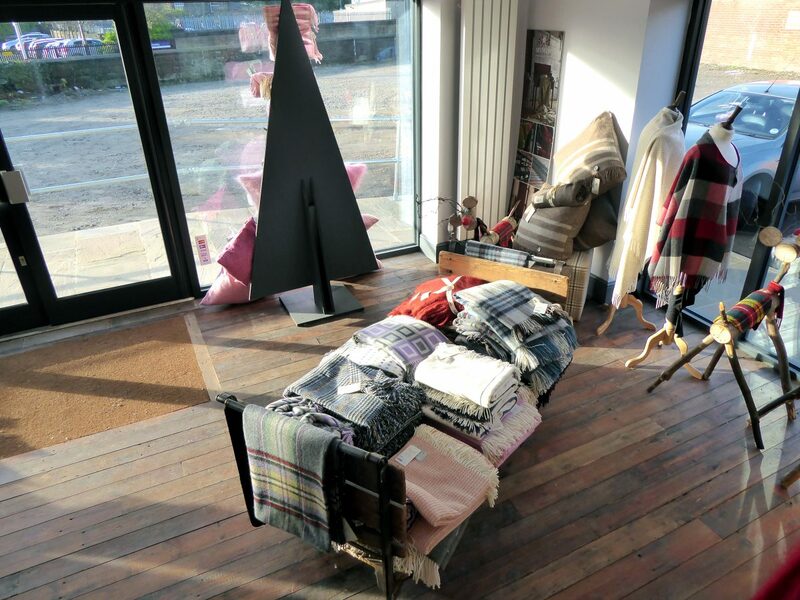 The furniture and fittings were sourced from Copenhagen, the centre of Scandinavian design and its association with Hygge. 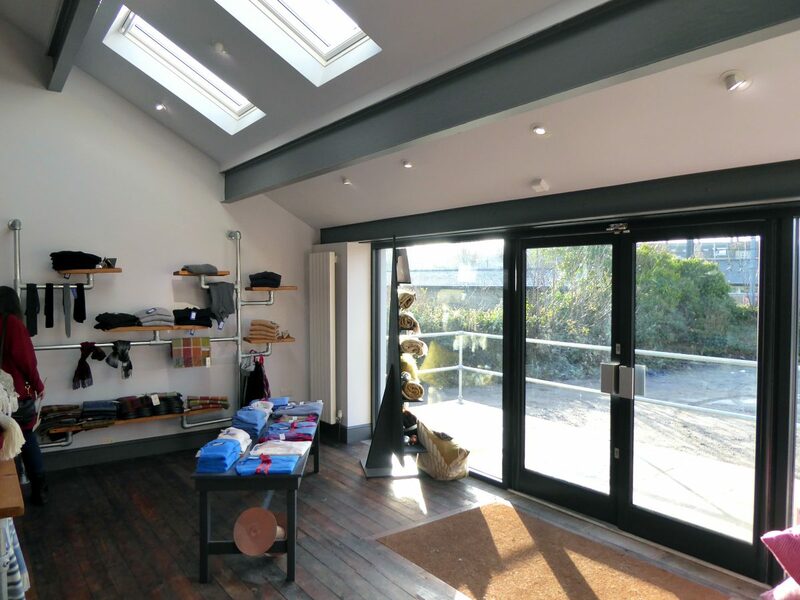 We provided interior design advice on space planning, circulation, furniture layout and colour schemes. Additionally, we created visuals to support the marketing of the restaurant prior to its opening. The restaurant opened with two months advance bookings ahead of its launch. 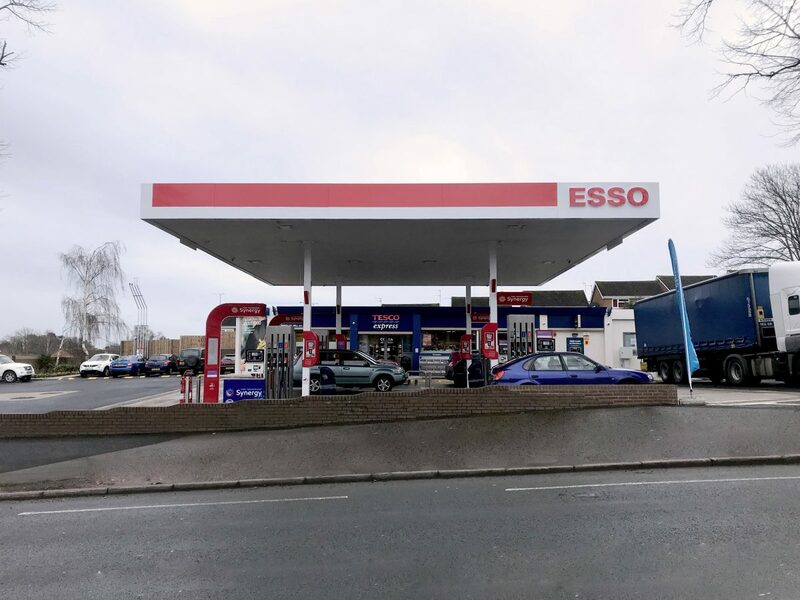 To support the second phase of the development, we liaised with a structural engineer to assess the viability of a rooftop terrace. 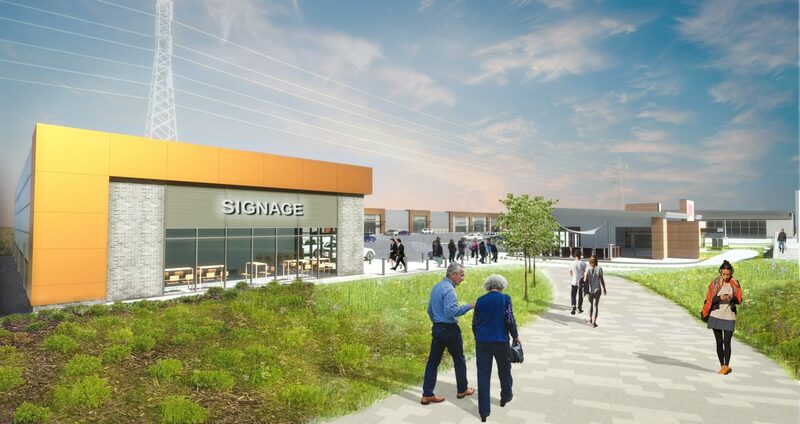 Bowman Riley is designing a £2.5m refurbishment of an existing Odeon cinema and leisure complex in Festival Park, an out of town retail park in Stoke on Trent. 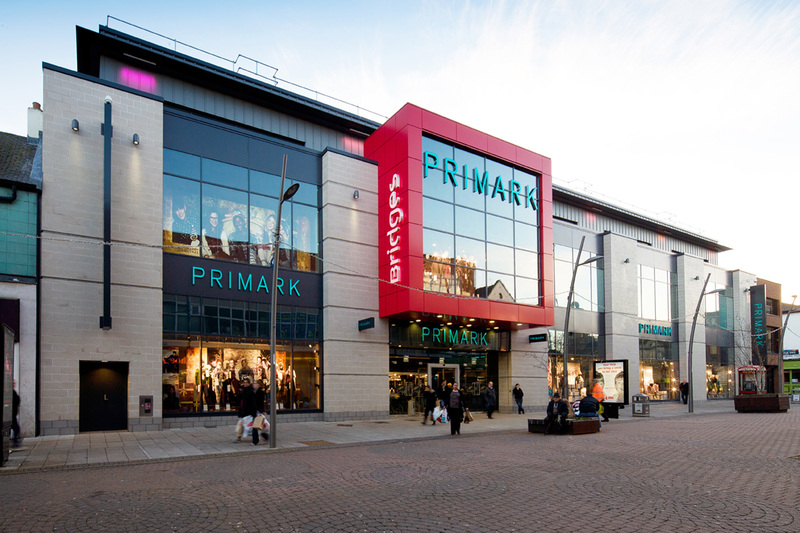 Originally built in 1998, the existing cinema complex is dated and in need of investment and refurbishment to enable it to respond to changes in customer demand and to compete with a new city centre cinema. In addition, much of the first floor is currently empty following the closure of the Quasar laser game. 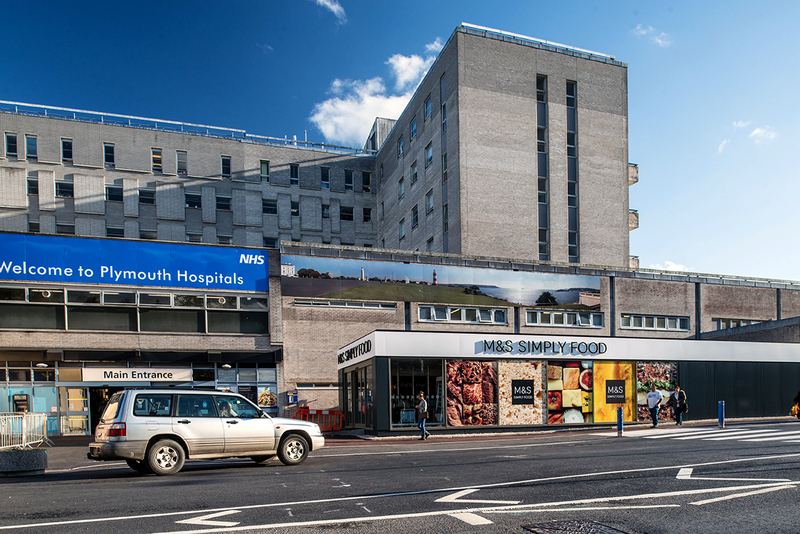 A planning application has been recently submitted to transform the exterior of the building, which will be over-clad to give it a more contemporary appearance. 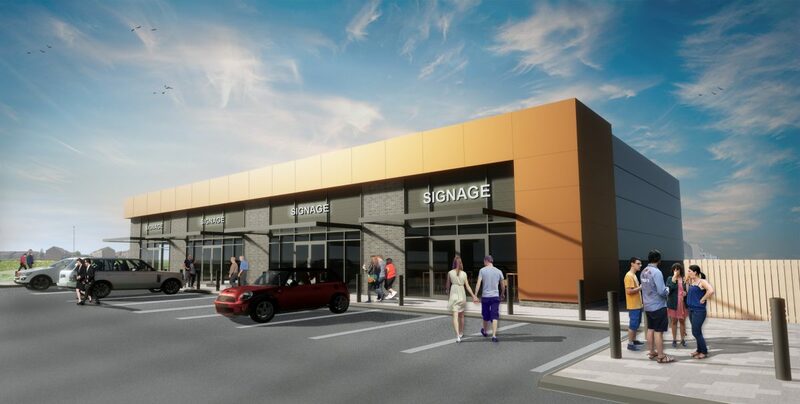 To occupy the vacant space within the building, the plan is to open three restaurants. 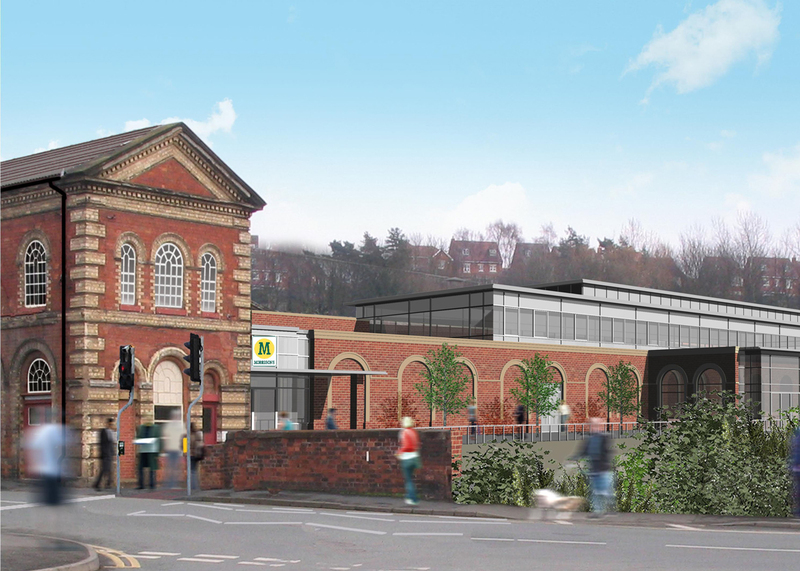 The proposal will ensure the Odeon cinema can operate viably in today’s evolving leisure market. 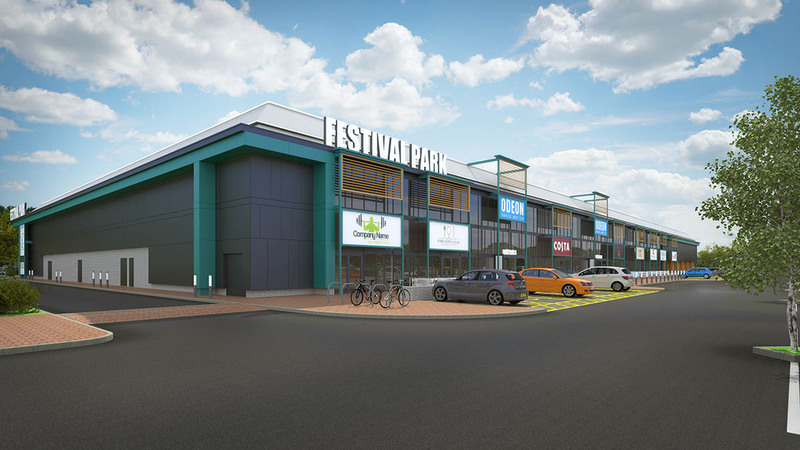 Valad Property Group subsequently bought another leisure site in Blackpool to be given a similar facelift. 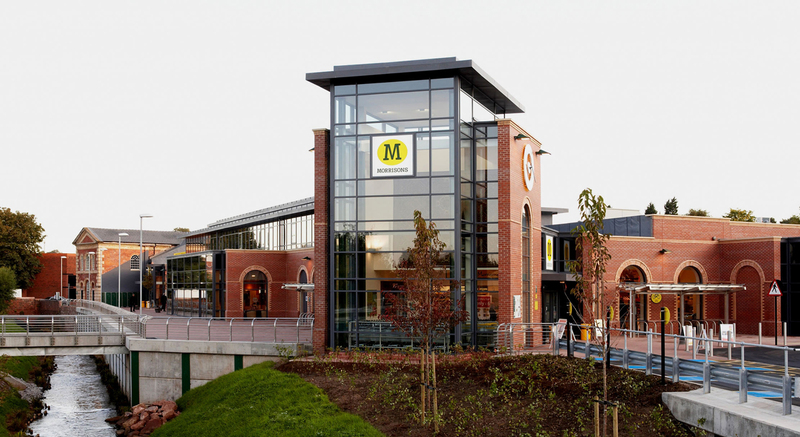 Bowman Riley designed the new Morrisons supermarket in Kidderminster. 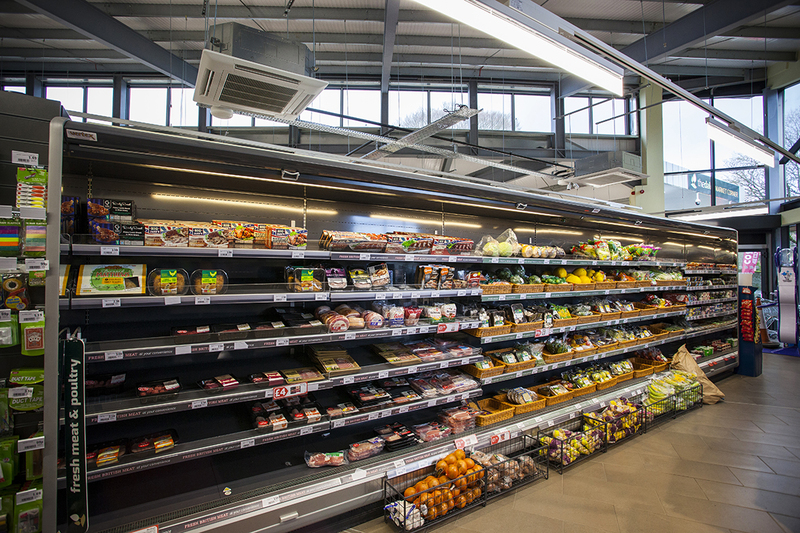 The supermarket was the first in the country to be awarded a BREEAM Excellent rating under the 2006 retail scheme, and provided the company with a greenprint for stores of the future. 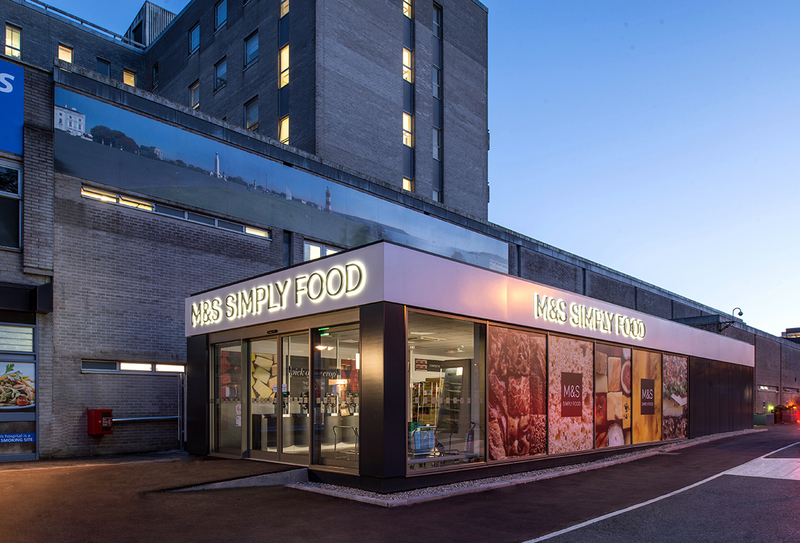 The redevelopment of the historic former carpet factory includes a new 77,000ft2 (gross) supermarket, the refurbishment and extension of a Grade II Listed office building with a change of use to museum space, an associated 390 car parking spaces and environmental and infrastructure improvements. 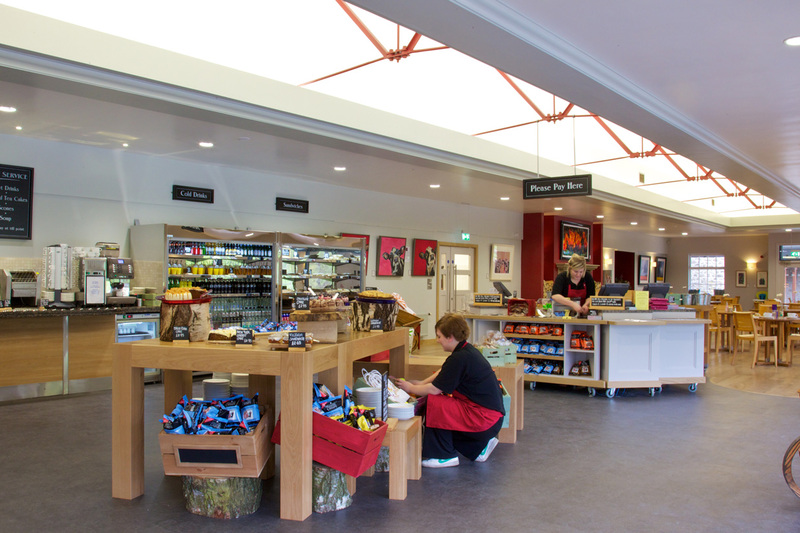 Bowman Riley designed and project managed the major refurbishment of the Cavendish Pavilion, a historic tourist attraction in the heart of The Bolton Abbey Estate in the Yorkshire Dales, which was completed in Spring 2012. 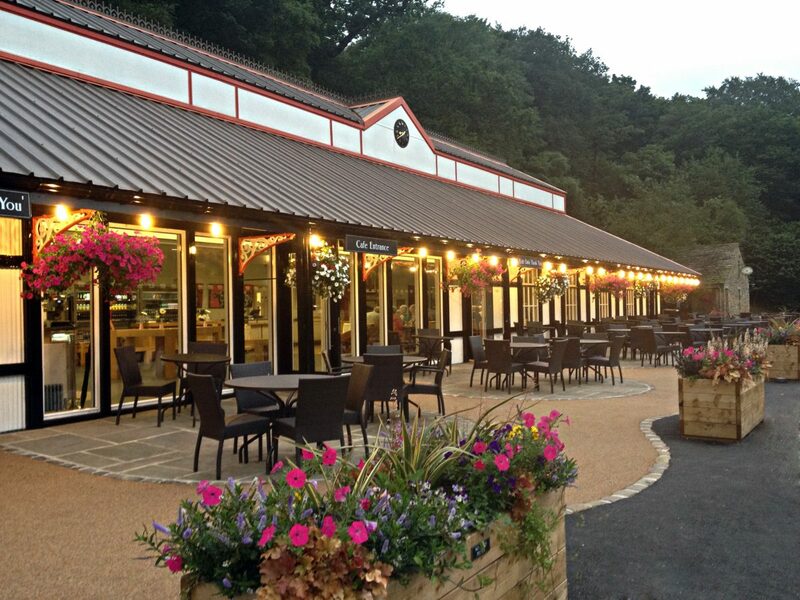 The Pavilion is set within a conservation area and areas designated as Sites of Special Scientific Interest, including an ancient woodland (mainly oak) and the length of the River Wharfe known as The Strid. 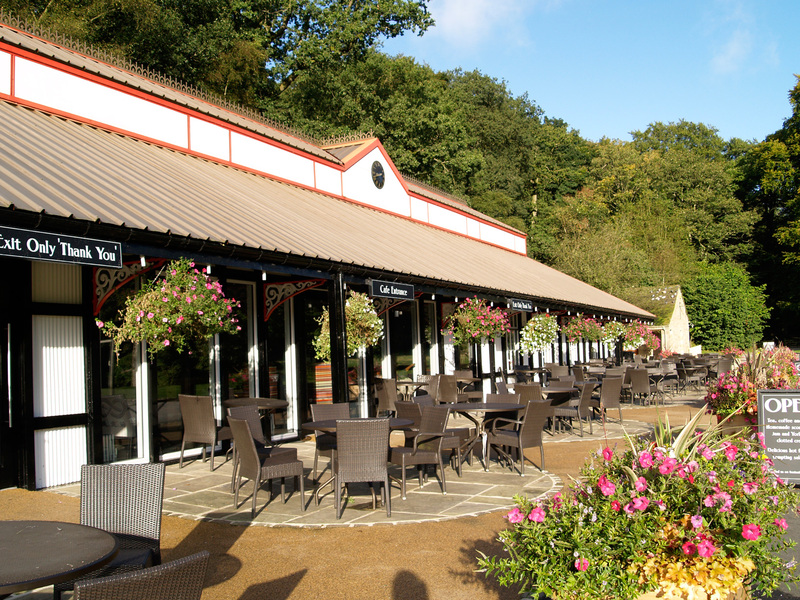 Originally built in 1898 to serve tea and cakes to the thousands of visitors who arrived by train, The Pavilion resembles a Victorian style station building. 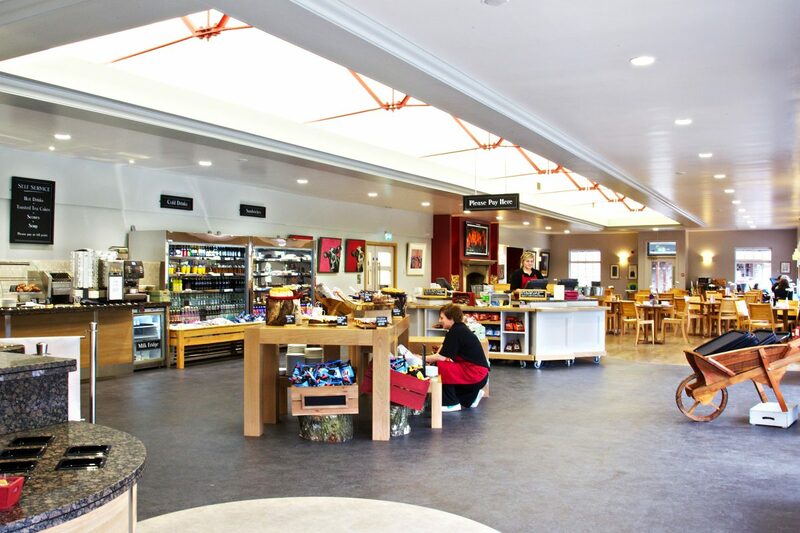 Refurbished in the 1980s, the Cavendish Pavilion needed to be upgraded and renovated to meet the needs of modern visitors. 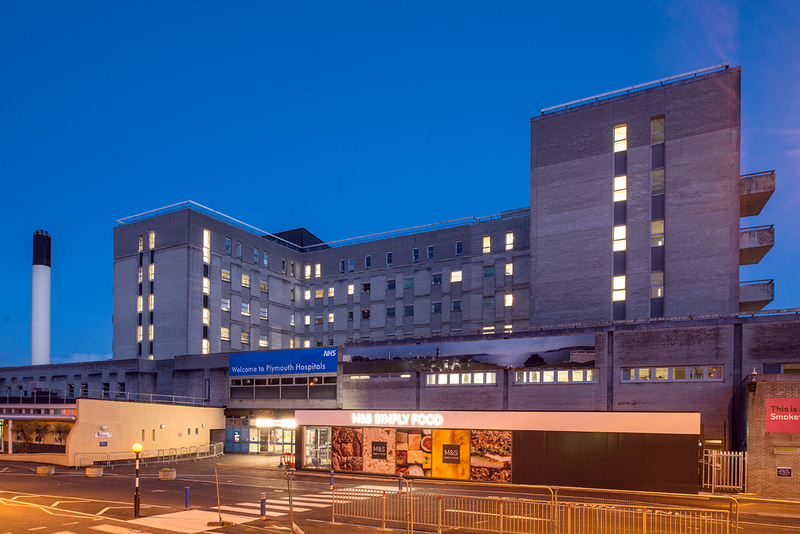 The refurbishment works comprised the removal of low height exterior sleeper walls, which had acted as a barrier to custom and separated the venue from its environment. 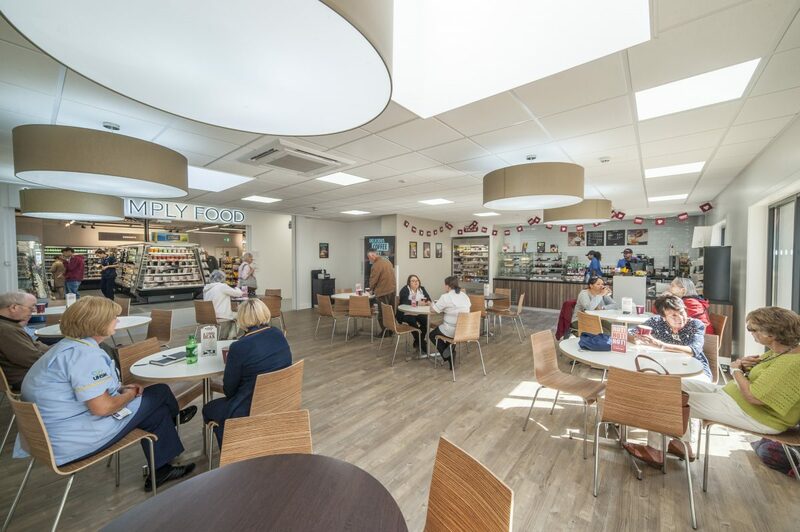 Internally, new glazing for the doors and windows was installed to increase natural lighting, new café servery to upgrade and modernise the facility and refurbished WCs. 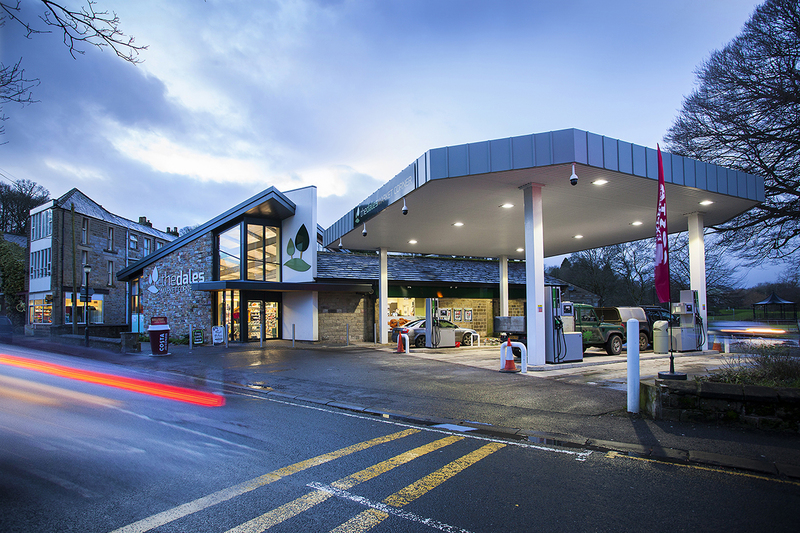 The Pavilion was reopened by the Duke and Duchess of Devonshire in May 2012 in time for the summer tourist season and was Highly Commended in the Tourism & Leisure category at the Pro-Yorkshire RICS Awards 2013. 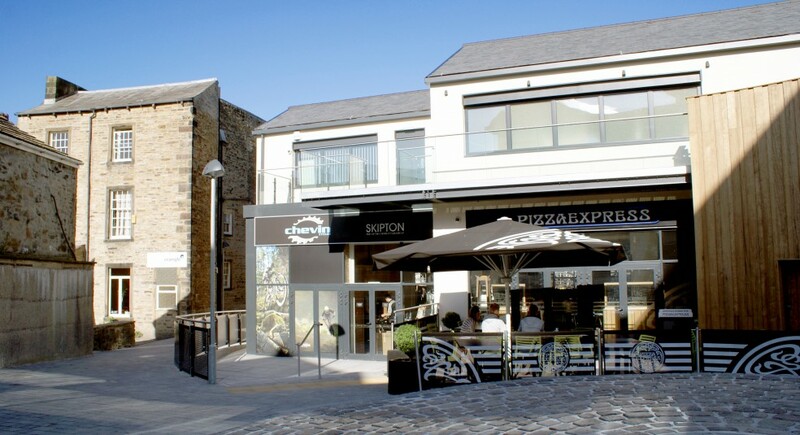 Craven Court Shopping Centre is situated just off the main High Street in the centre of Skipton, a bustling market town on the edge of the Yorkshire Dales. 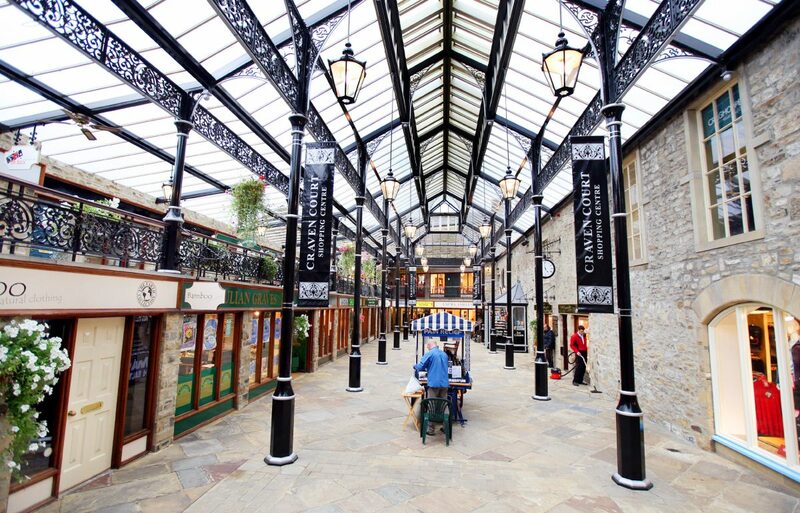 The shopping centre was originally developed and expanded from a 16th century theatre. 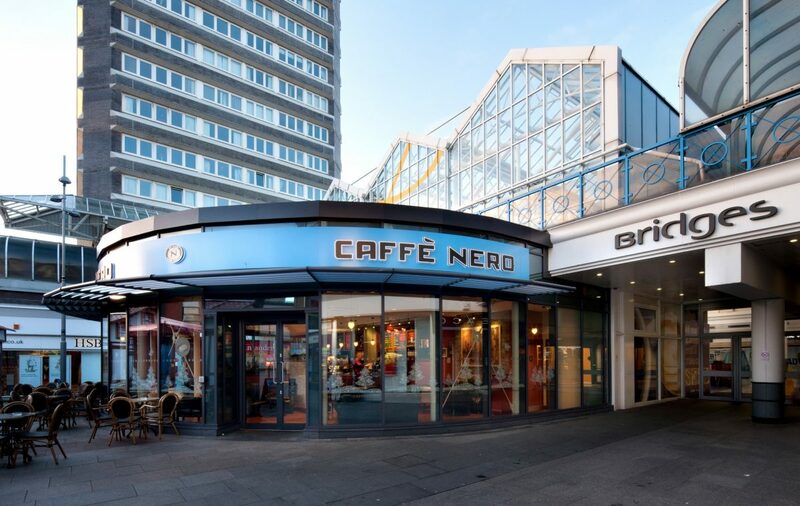 The development of this enclosed shopping centre was completed in 1988 and is based on a Victorian theme with wrought iron work and glass roof. 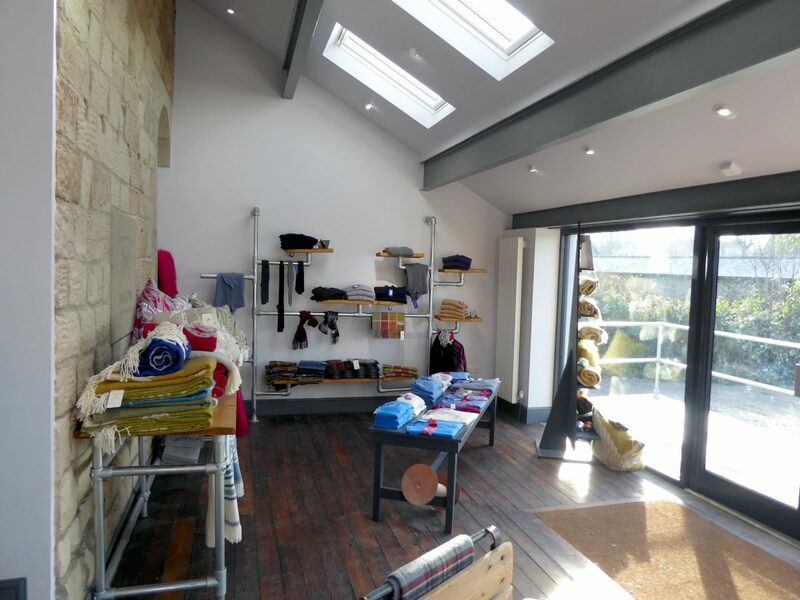 The original stone walls are partly listed and provide a traditional backdrop to the shopping experience. 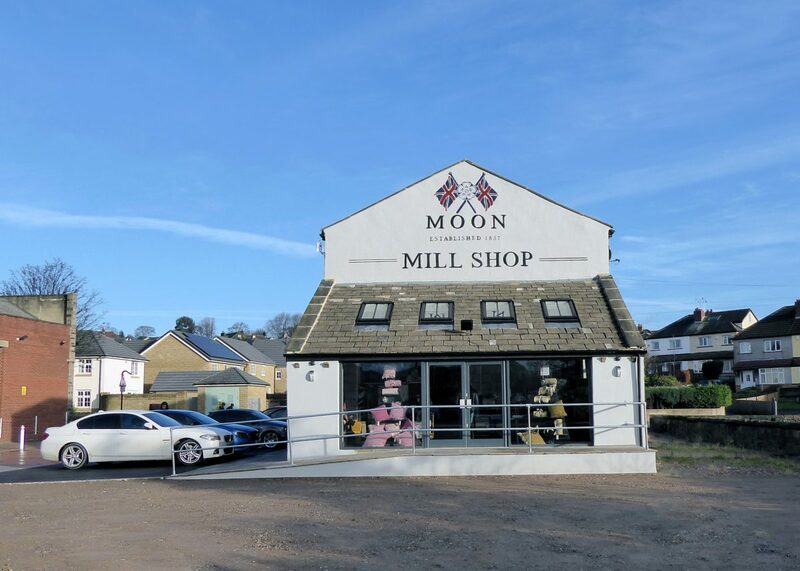 Craven Court is home to 28 stores from national names such as Laura Ashley, Wallis, and H. Samuel’s to small independent retailers. 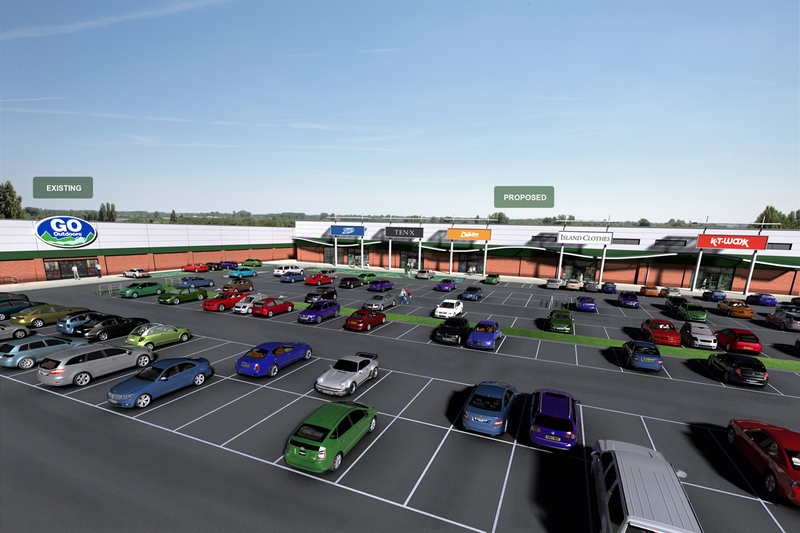 Bowman Riley was commissioned to provide feasibility schemes for the reconfiguration and extensions to the shopping centre. 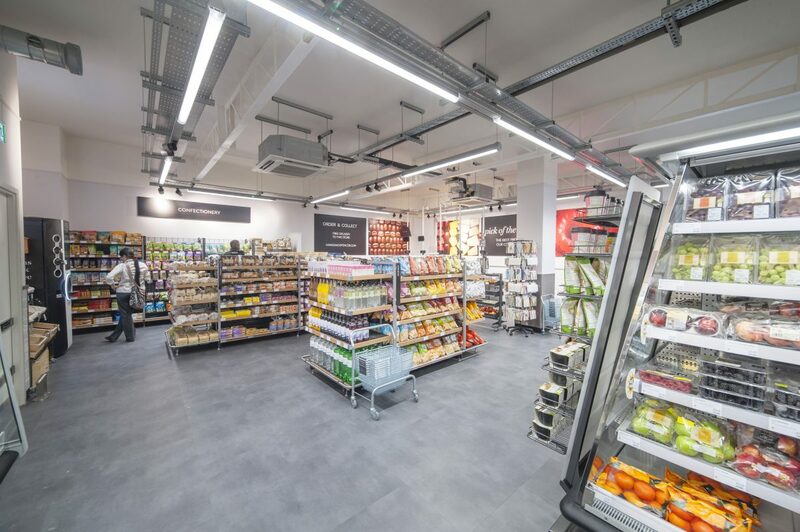 The brief was to create a method of enticing shoppers from Otley Street into Craven Court through integrating the external street scene into the existing units. 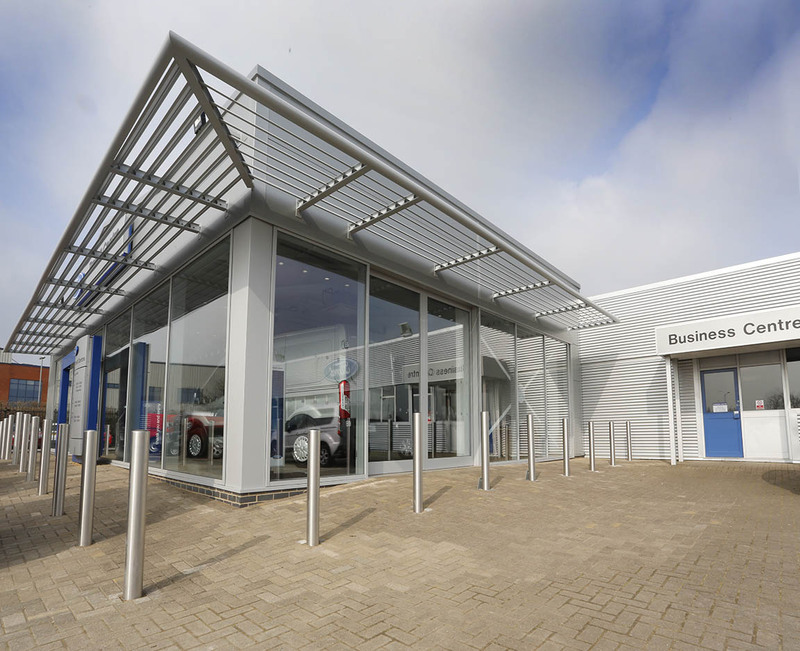 Sunlight analysis was undertaken to position the external seating area in the most suitable locations. 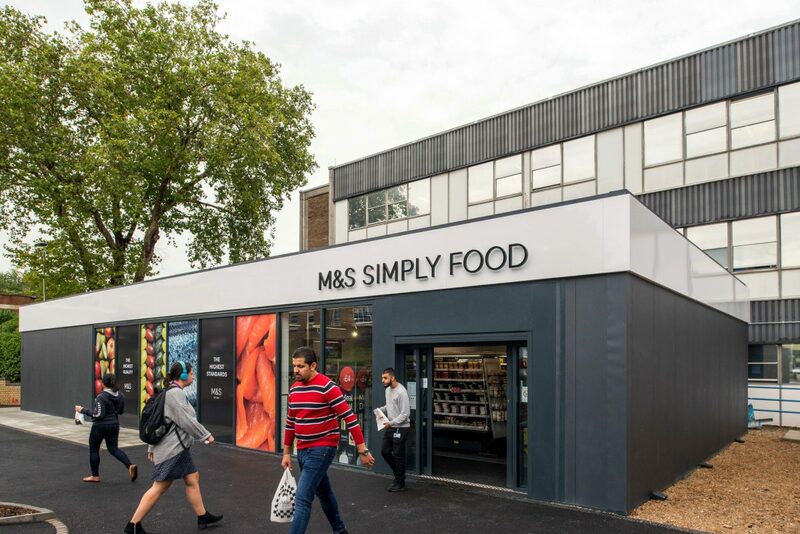 The design created an avenue that linked the new facilities to the existing High Street whilst maintaining the composition and aesthetics of the conservation area status. 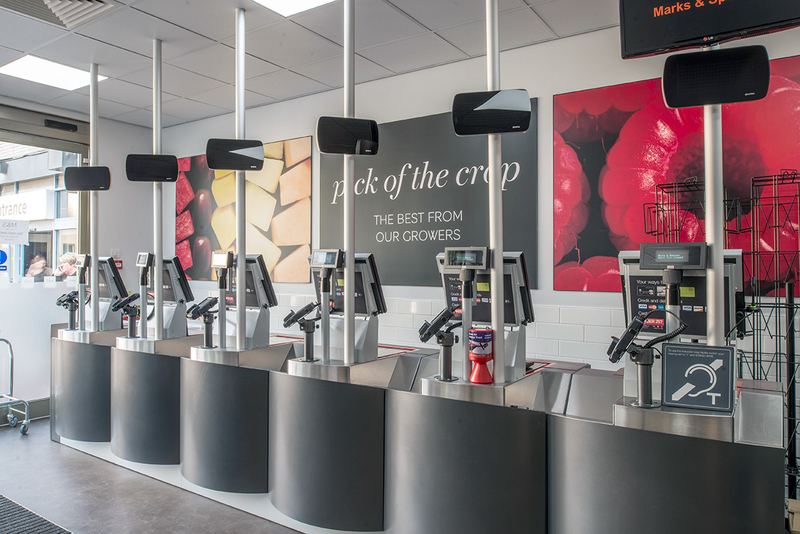 As part of our framework agreement with Wm Morrison Supermarkets, Bowman Riley has been instrumental in the successful delivery of Morrisons Fresh Format programme. 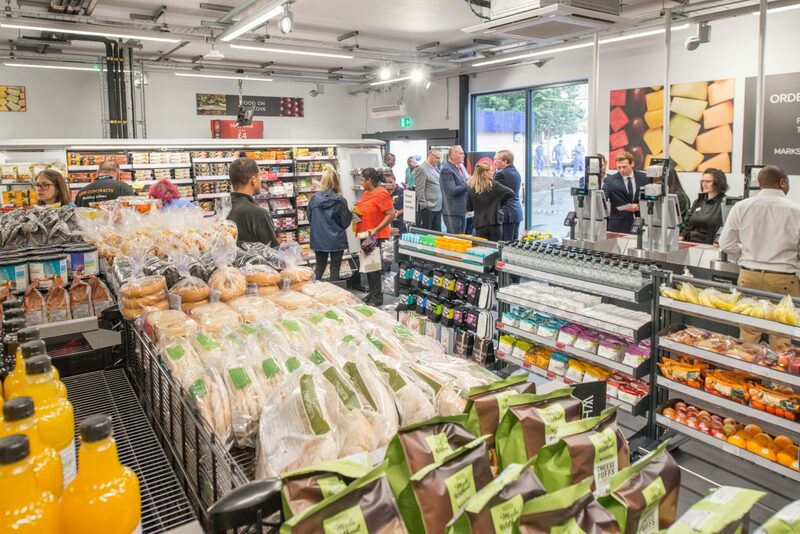 The Store of the Future programme transforms existing stores into a contemporary shopping space, focusing on a wide-ranging, premium fresh food offer, yet still delivering Morrisons’ reputation for good value. 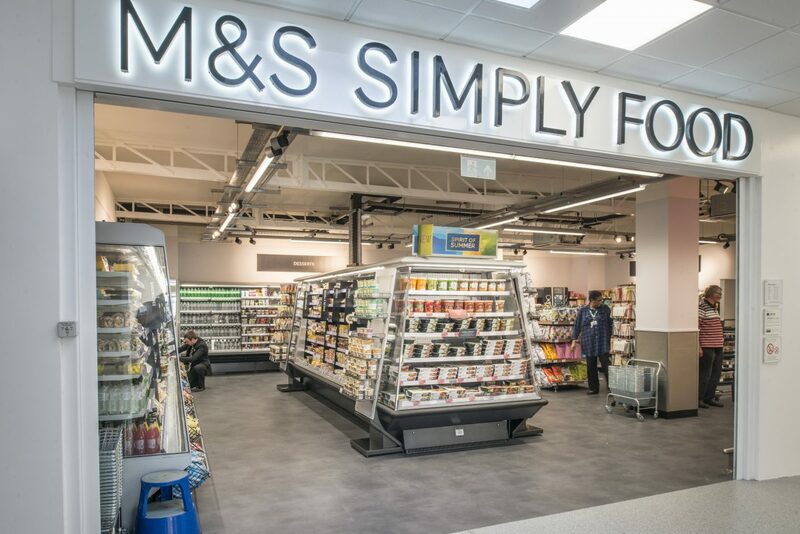 These new style stores offer up to 450 different lines of fresh produce including an array of exotic fruits and vegetables. 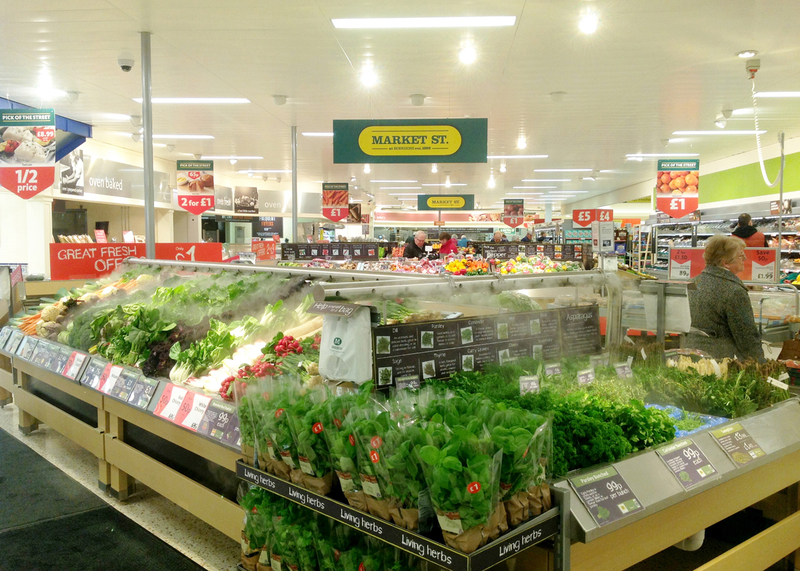 To date we have delivered 65 projects to upgrade and re-brand Morrison’s properties under their ‘Fresh Format’ roll-out to fast track 3, 6 and 12 week programmes throughout the North of England and Scotland. 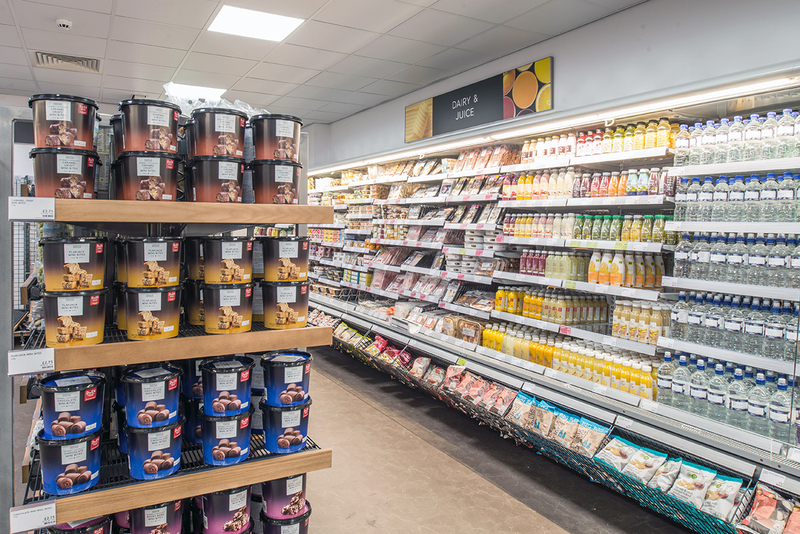 Our design and project management role involved the successful management of night working to avoid disruption of the operations to the retail environment. Concurrently as lead architect, we prepared dilapidation reports and organisation of maintenance works. On this programme, we developed the standards and guidelines manual for the other framework architects and contractors. 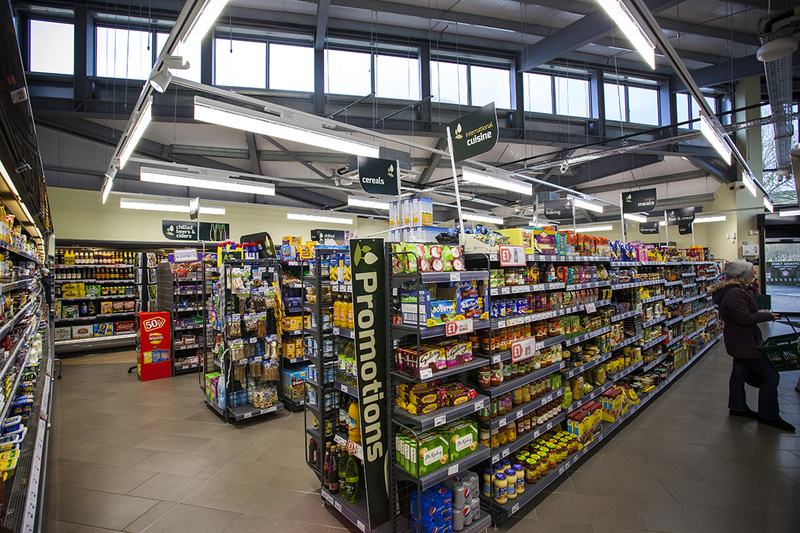 Bowman Riley was involved in the refurbishment of an existing building to create an attractive new retail space, Saltney Retail Park in Chester, on the site of a former Wm Morrisons Supermarket. 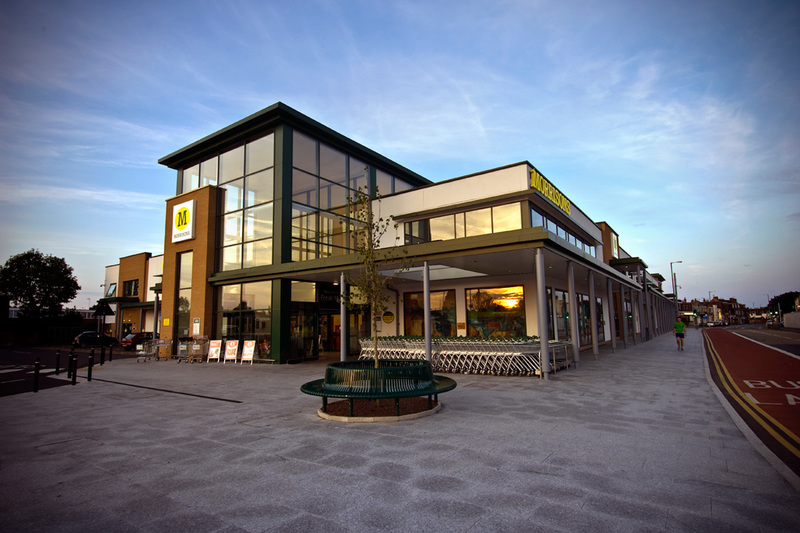 The site in Saltney had become redundant after Morrisons vacated its premises in 2005 before opening a new store on the High Street in 2010. 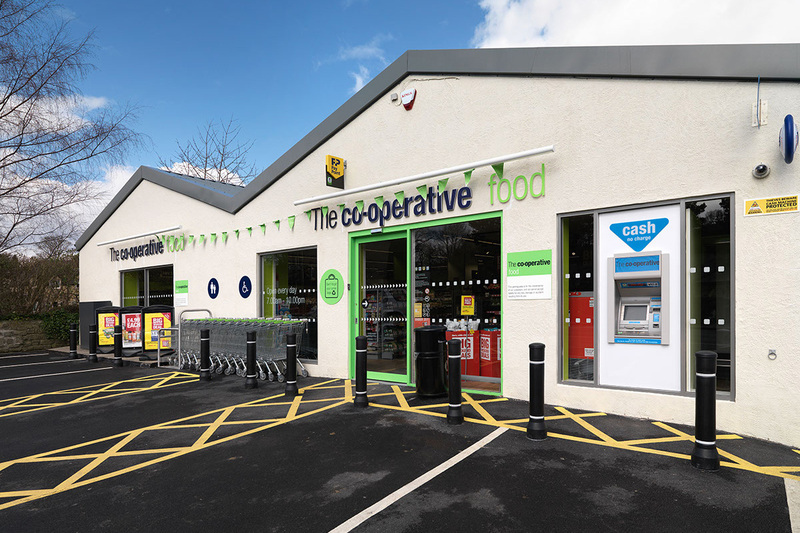 Go Outdoors transformed the refurbished unit to create a £1.5 million outdoor superstore store boasting a climbing wall, interactive fishing simulator and café. 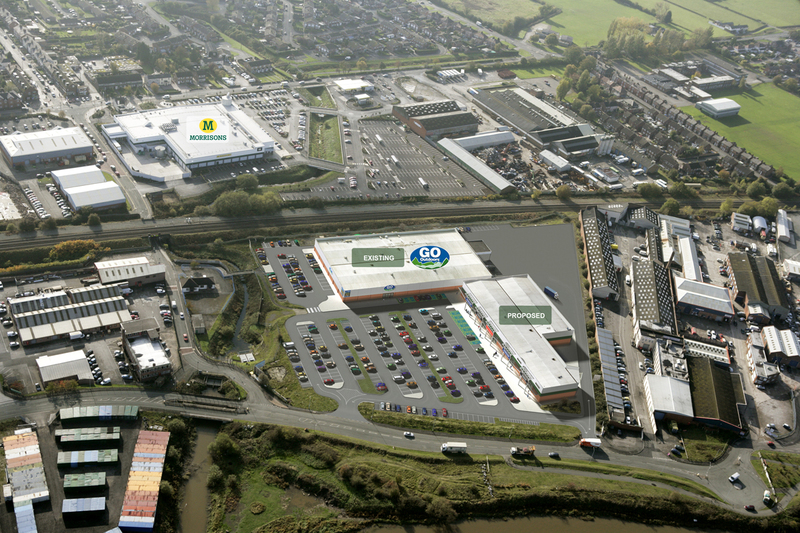 The Go Outdoors superstore opened in April 2012 the centrepiece of the proposed Saltney Retail Park.In addition, Bowman Riley designed five retail units totalling 45,000ft², which were submitted for planning approval. 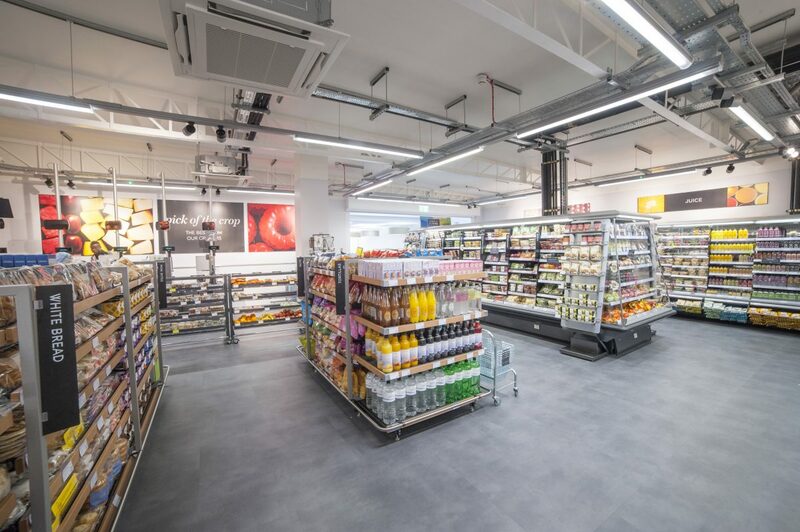 Flintshire Council is currently considering the application by the supermarket giant to create this additional floor space. 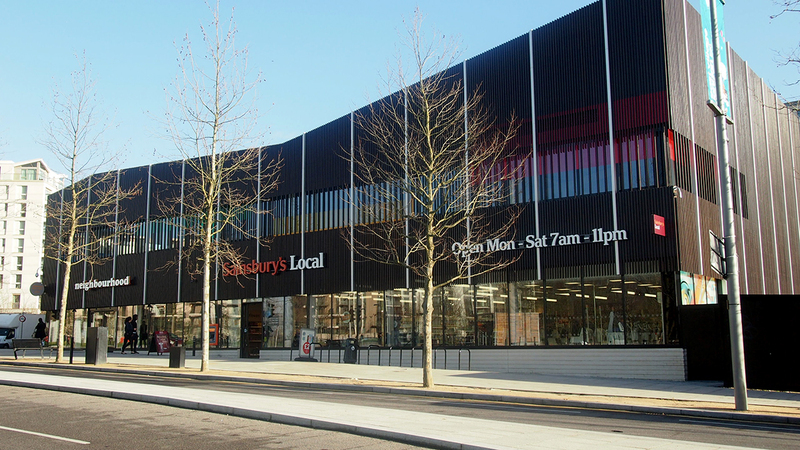 In addition Bowman Riley designed five retail units totalling 45,000ft², which were submitted for planning approval. 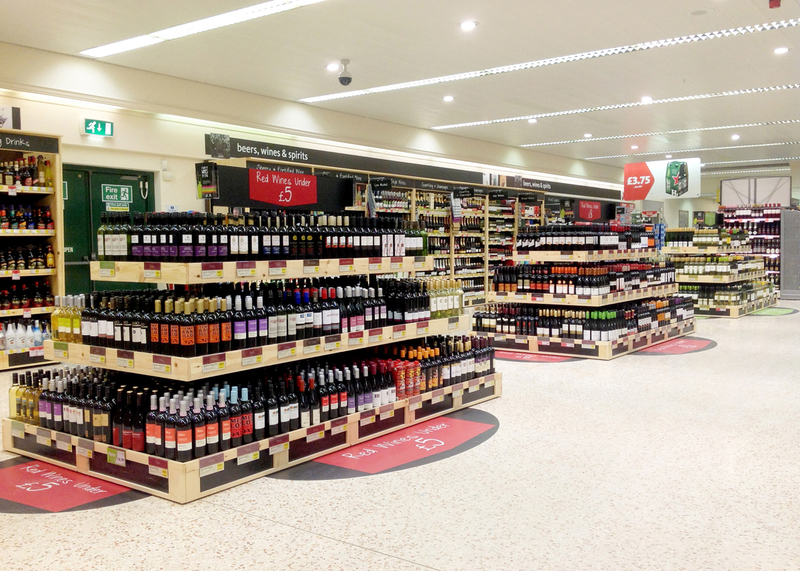 Flintshire Council is currently considering the application by the supermarket giant to create this additional floor space. Bowman Riley developed the designs for two new buildings in the East Village, Stratford. 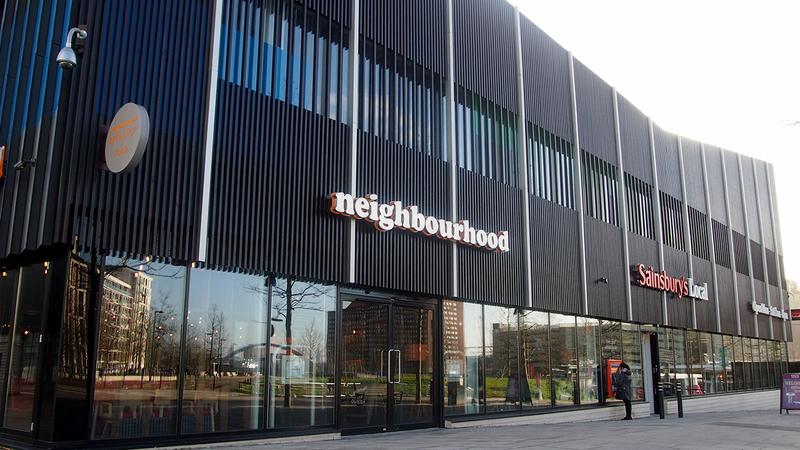 This area of East London was designed as athletes accommodation of the 2012 Summer Olympic Games and since then has been transformed into a vibrant new residential neighbourhood with nearly 6,000 residents, shops and commercial buildings. 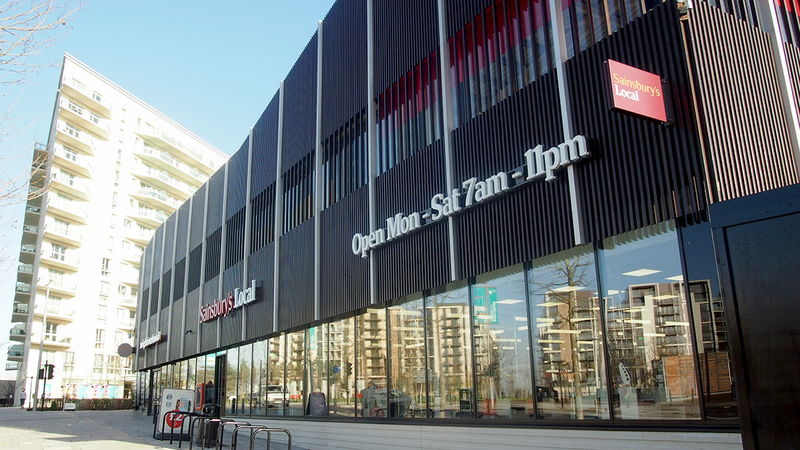 The first development we were involved in was a marketing and management building created to promote the redevelopment of the East Village to potential buyers. 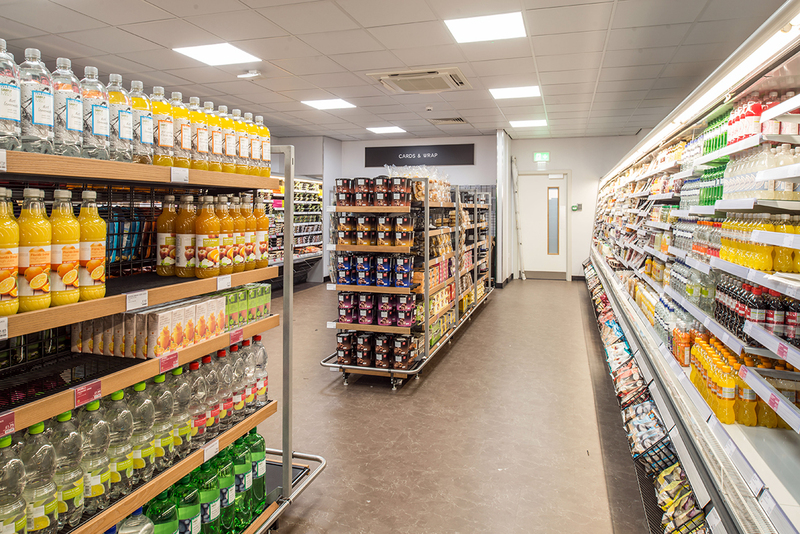 We subsequently developed the designs on a circa 35,000 ft² new commercial building to accommodate a convenience store, fitness centre, café, restaurant and bar to provide new amenities for the residents of the apartments. 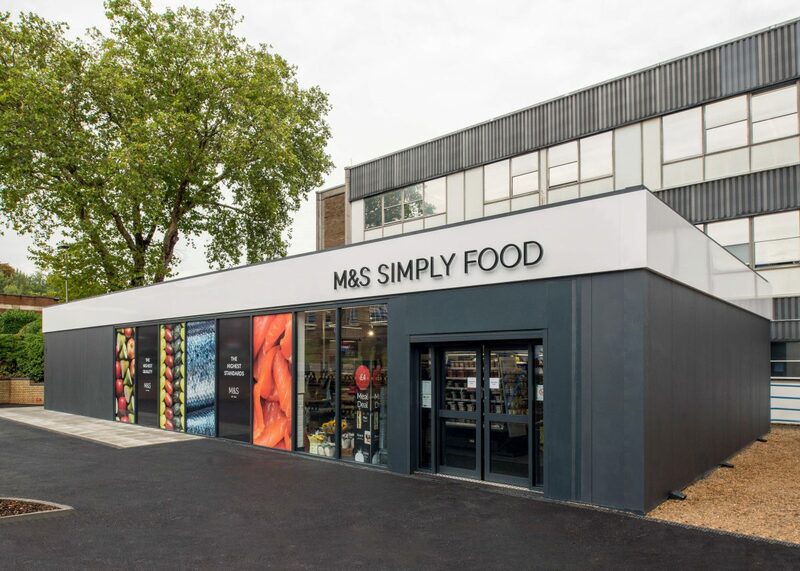 The design for the buildings complements the East Village development style reinforcing the existing street frontages and following the principles of generous public realm and open space bounded within clear and defined building plots. 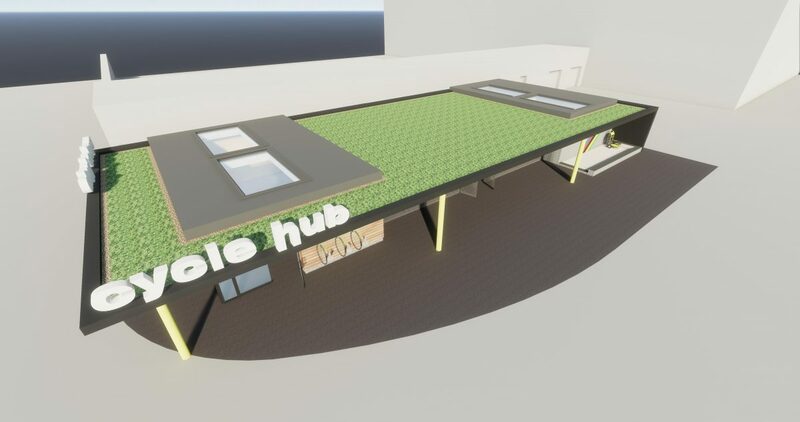 The development will provide key facilities for the residents of the East Village helping to create a new sustainable community in East London with excellent public transport links into the city and beyond. 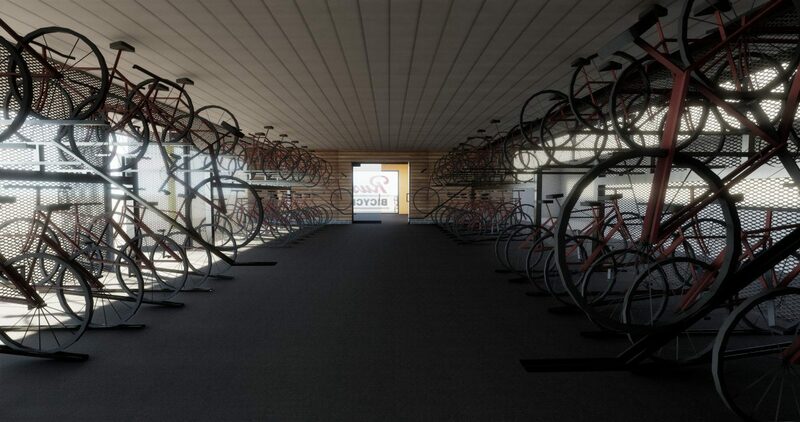 Bowman Riley Interiors was appointed by British Land to provide concept design proposals for a bicycle hub building. 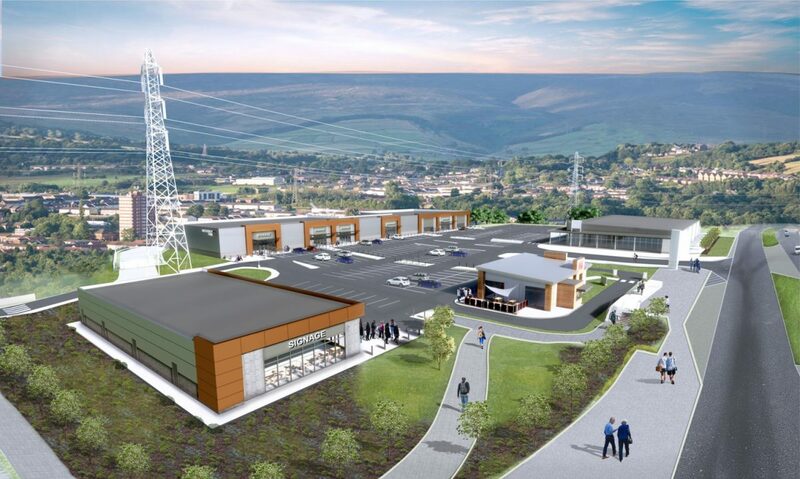 The building will be situated adjacent to Meadowhall Shopping Centre in Sheffield. 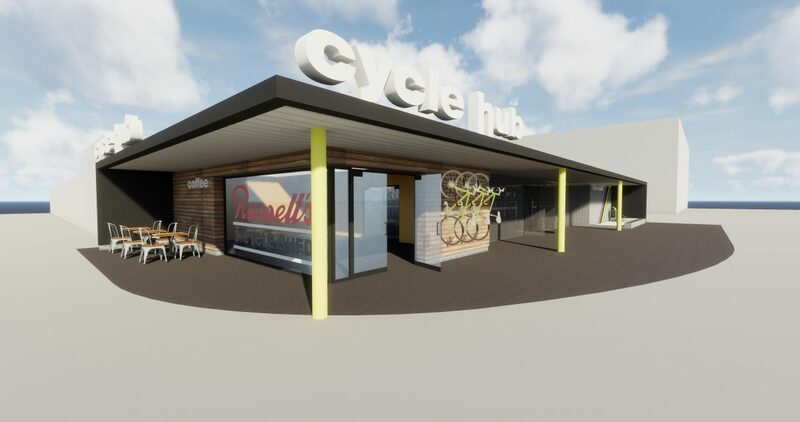 The shopping centre needs to cater for increasing numbers of staff and customers travelling by bicycle. 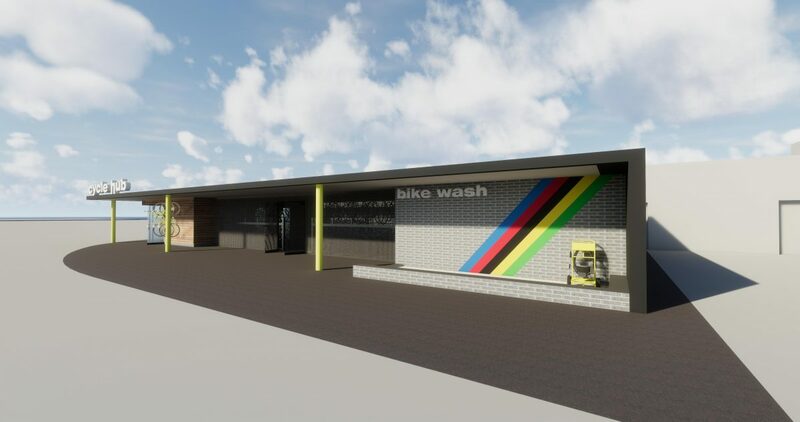 The requirement was for an 80 capacity secure bicycle store with associated WC, shower and locker facilities along with a small shop and workshop facility. 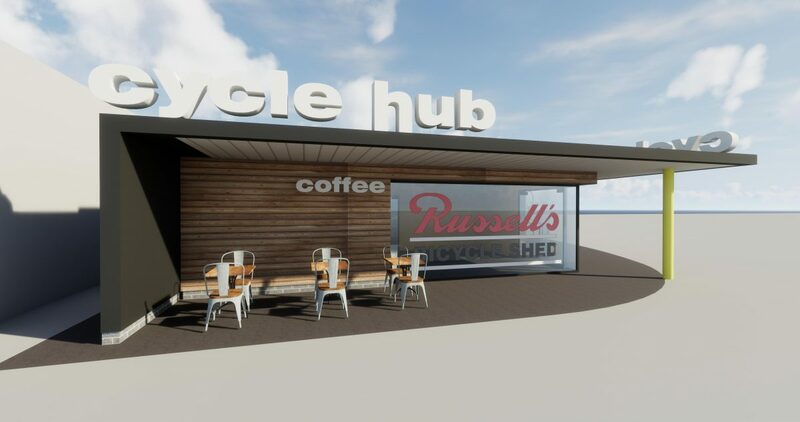 The design concepts were presented to Meadow Hall’s management team, Sheffield City Council and Russell’s Cycles, as the retail tenant. Following briefing and research, we developed three distinct design concepts addressing each aspect of the brief using 3D concept modelling. 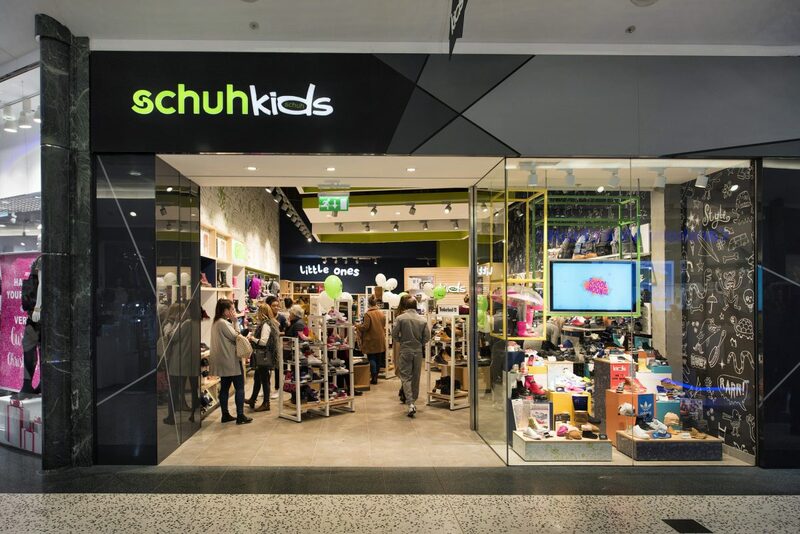 Security, sustainability and flexibility were key drivers from the brief. 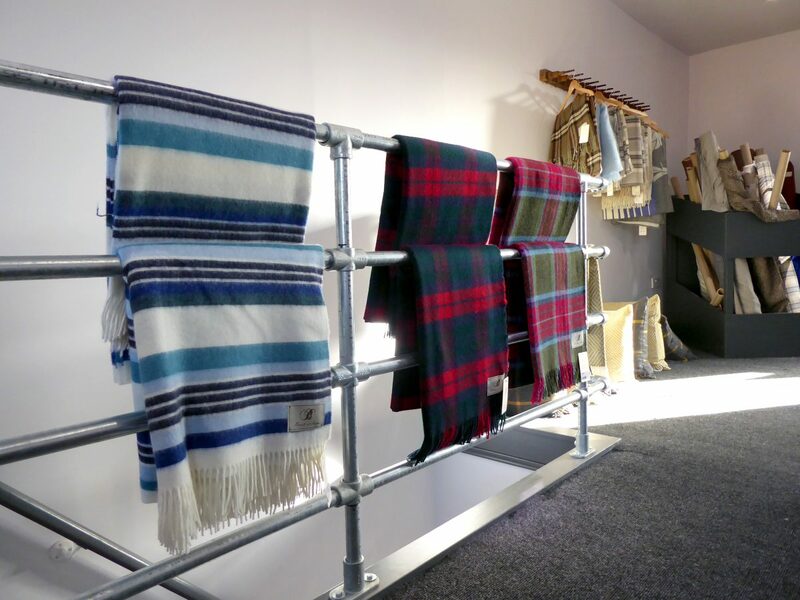 We explored options to construct the building using traditional, hybrid and modular methods of construction. 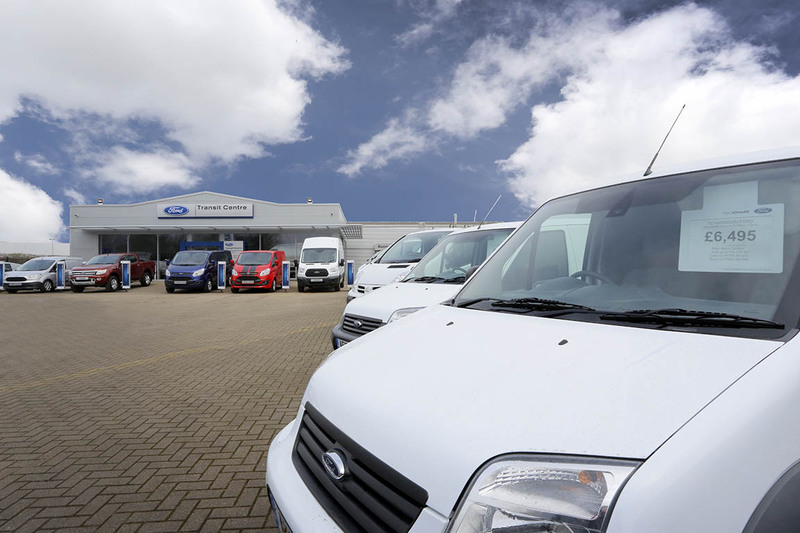 We provided costs and logistic solutions for each option. 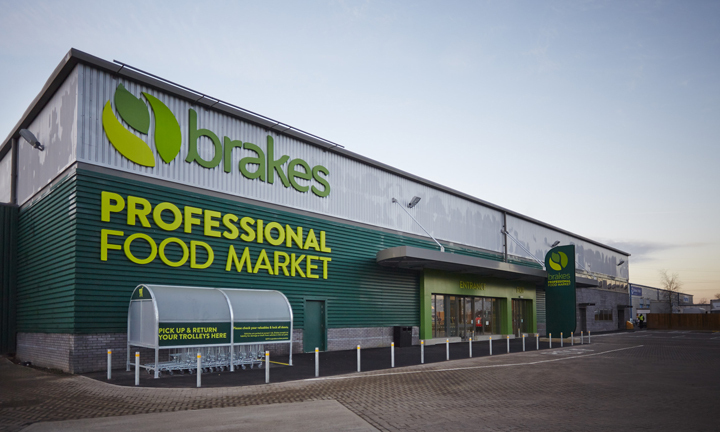 The project anticipated to shortly move onto the planning stage and procurement with CBRE acting as project managers . 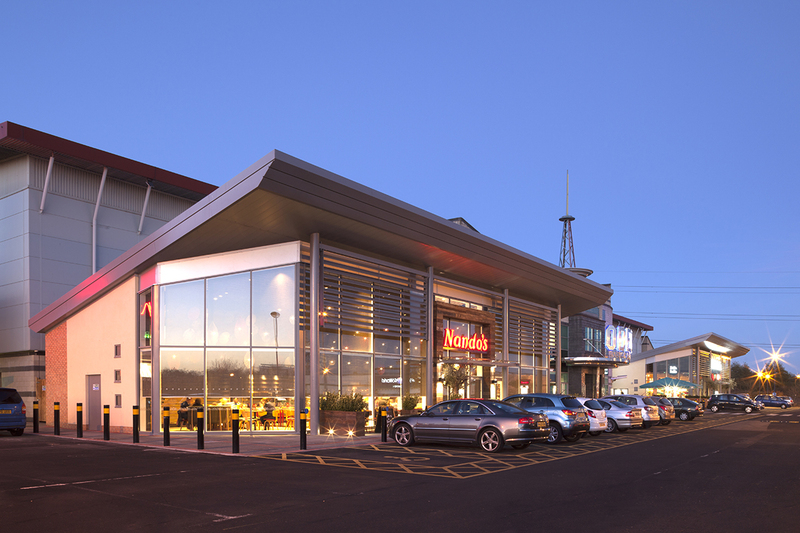 Bowman Riley developed two new restaurant units at the Silverlink Shopping Park, from planning to construction, initially for Nortrust Nominees and subsequently, for the contractor ESH Build. 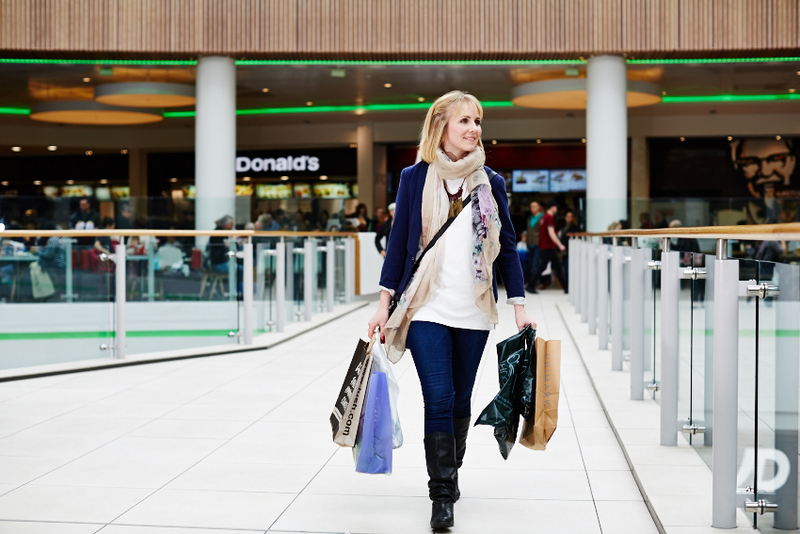 Silverlink Shopping Park is a major retail park in Newcastle with over 20 retailers and leisure offerings of an Odeon cinema and restaurant units such as Pizza Hut, McDonalds and Frankie & Benny’s. 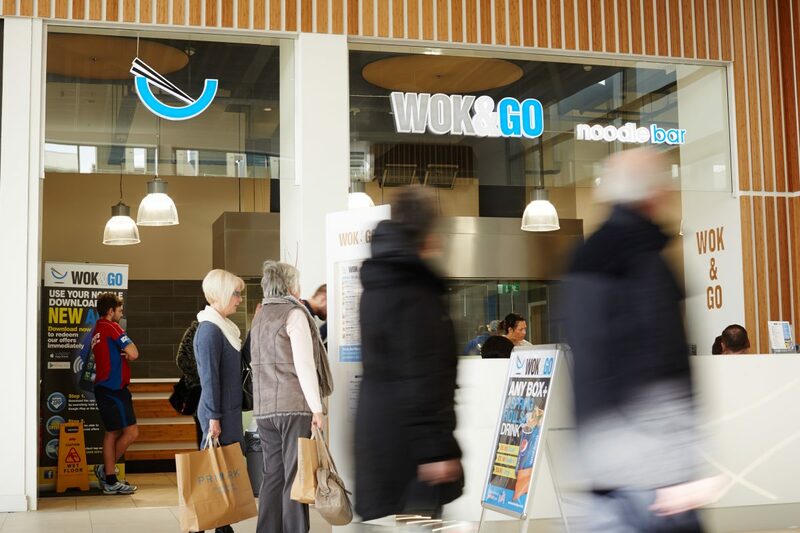 The two new 3,200 ft2 restaurant units are located in the heart of the shopping park, adjacent to the Odeon cinema and are currently occupied by Nando’s and Bella Italia. 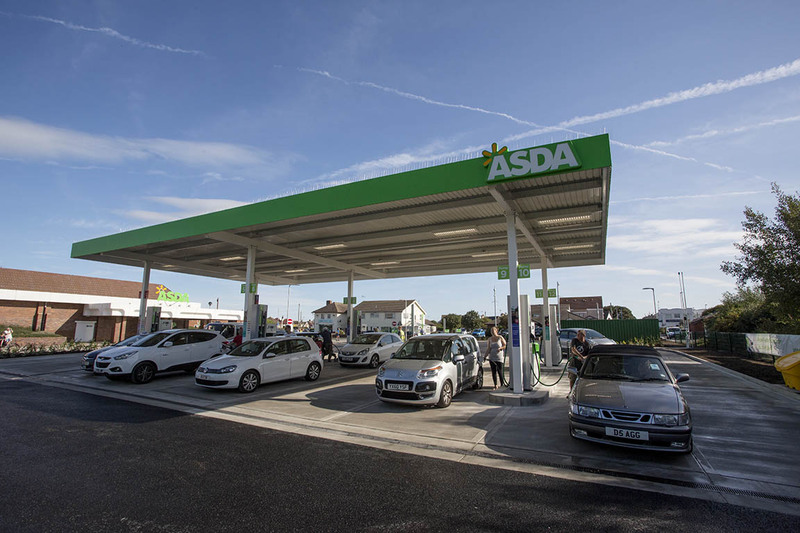 Bowman Riley produced the designs for the new units using the BIM software Revit Architecture as an integrated project with the structural engineers. 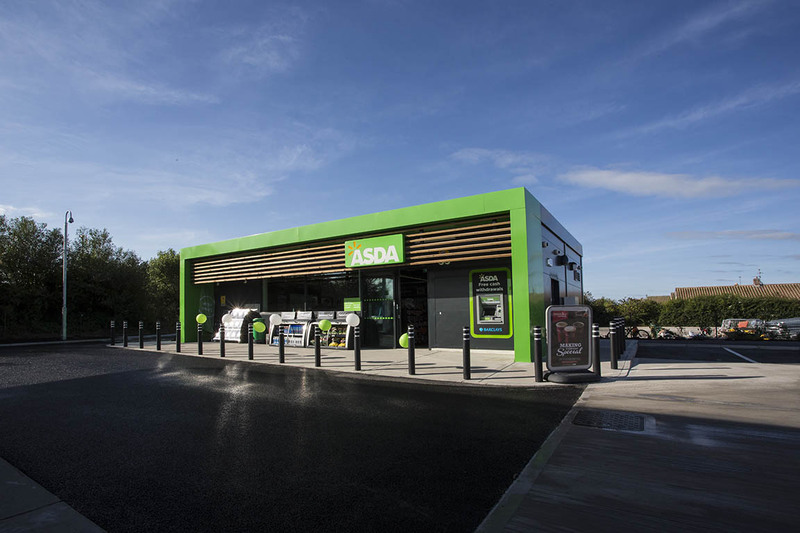 This has enabled the virtual information model to be handed from the design team to the contractor and then on to the owner/operator, which has improved efficiency and coordination and provides more extensive information to the shopping park operator. 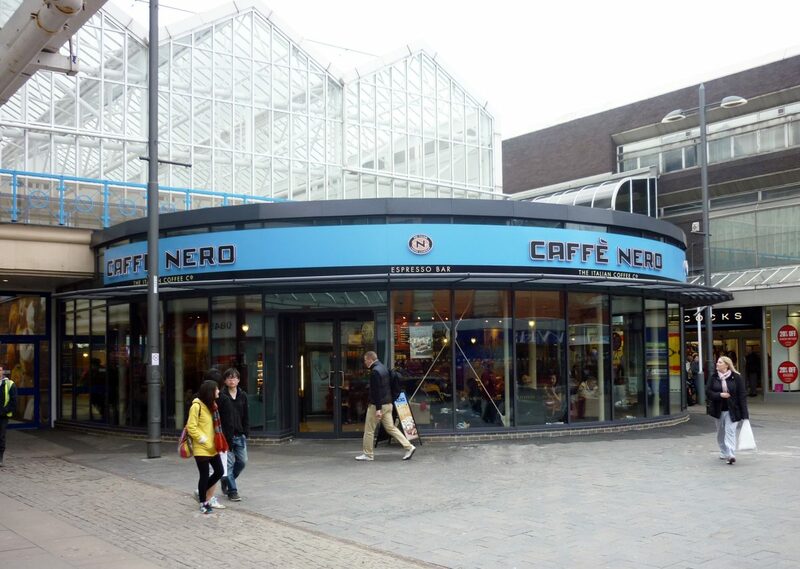 As part of a wider development to extend the Bridges and create a new High Street West entrance, Bowman Riley was commissioned to design a new contemporary 1500 ft2 unit to be occupied by Café Nero. 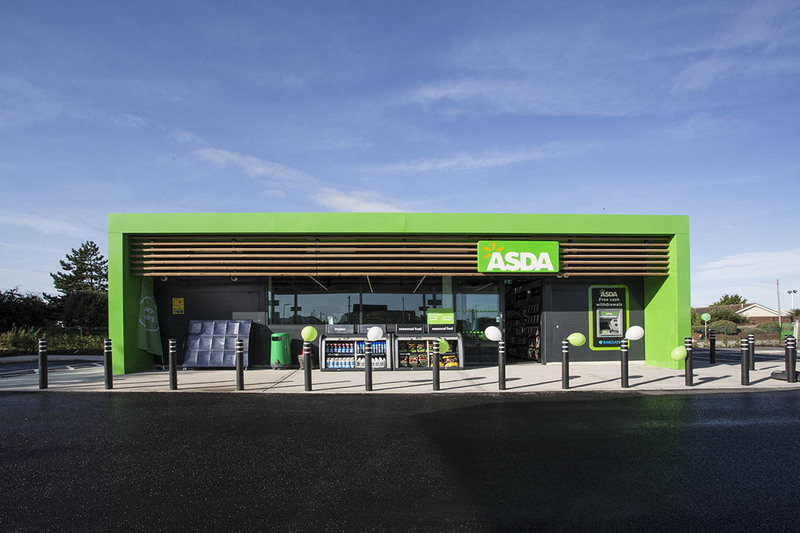 The design features a 180o faceted glazed façade and incorporates high level natural ventilation. 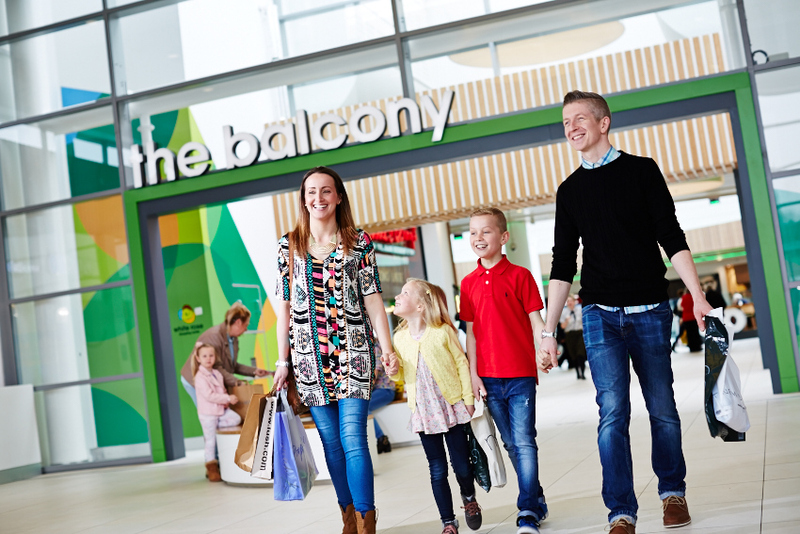 The aim of the wider development is to improve the environment of the shopping centre and enhance the retail experience for the Centre’s 21 million customers who visit annually, by ensuring that the most popular high street brands are located within The Bridges. 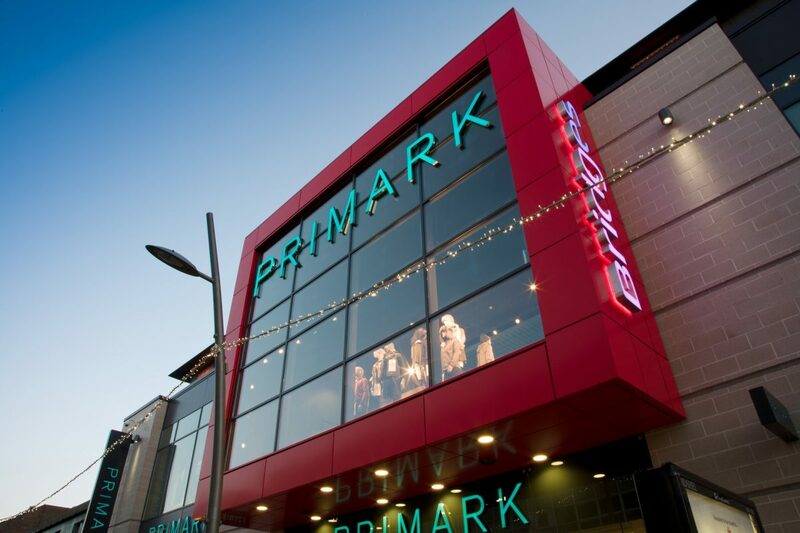 The Bridges Shopping Centre, in the heart of Sunderland features more than 100 shops, including major stores such as Debenhams, H&M, Bank, Topshop/Topman, Pandora and Next. 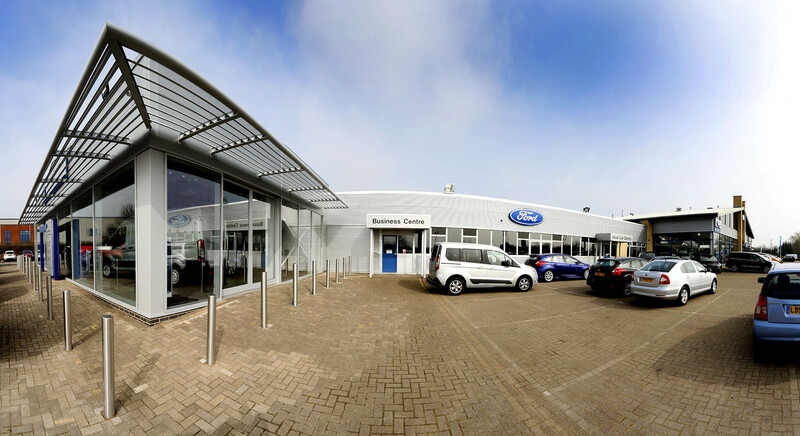 Bowman Riley were commissioned to design a new extension to an existing Ford car showroom in Peterborough to create additional space to showcase their range of transit vans which were formerly just sat on the forecourt. 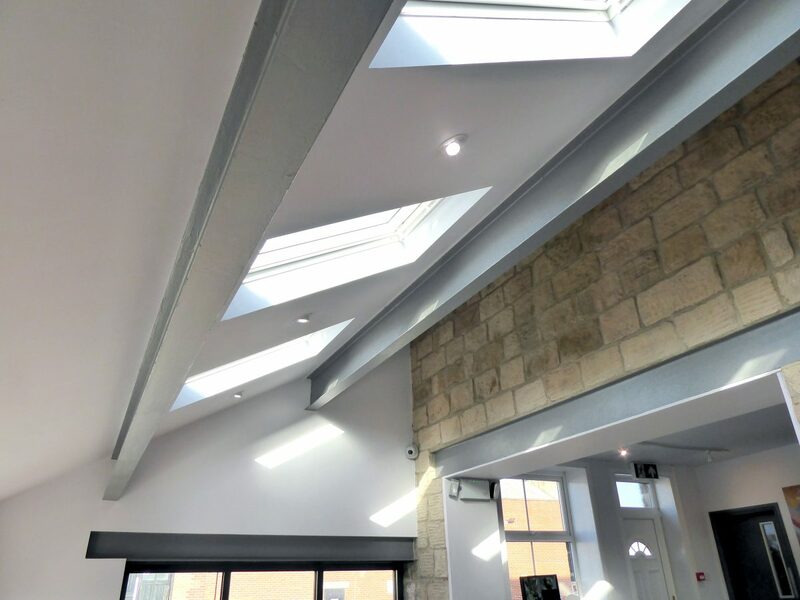 Appointed by Woodgreen Construction under a design and build contract, Bowman Riley’s role involved the preparation of the planning application submission, building regulation information construction drawings and site attendance. 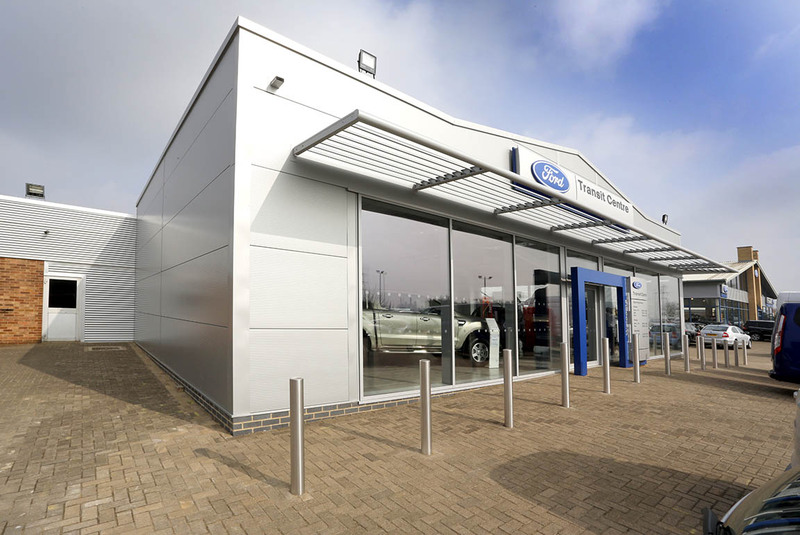 The building comprised of a structural steel frame with wall and roof cladding including a structural deck and aluminium curtain walling with glazed vehicle access doors. 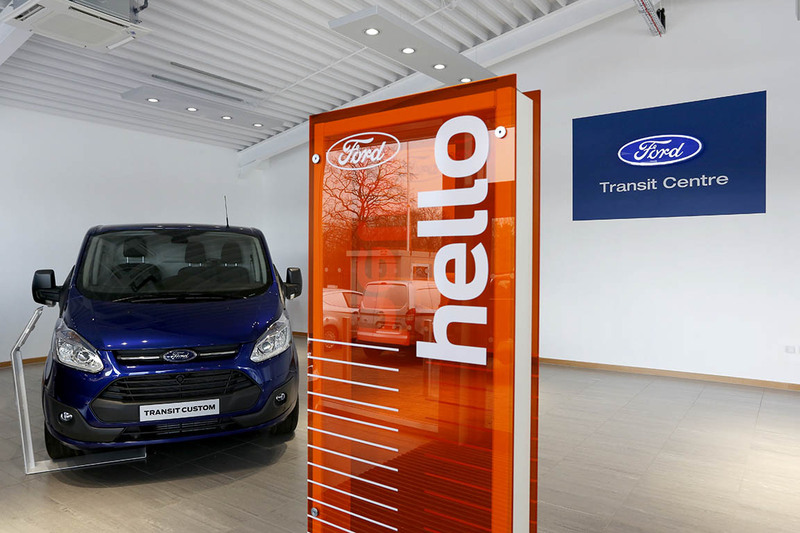 The fit out comprised the installation of comfort cooling and Ford approved lighting with extensive ceramic floor tiling and interior decorations throughout. 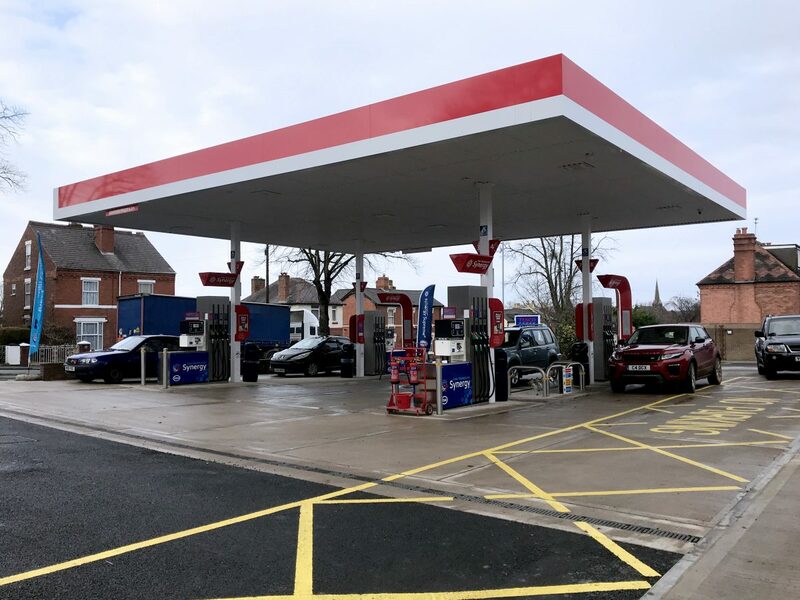 External works included the re-grading and re-laying the existing block paving and the installation of stainless steel bollards. 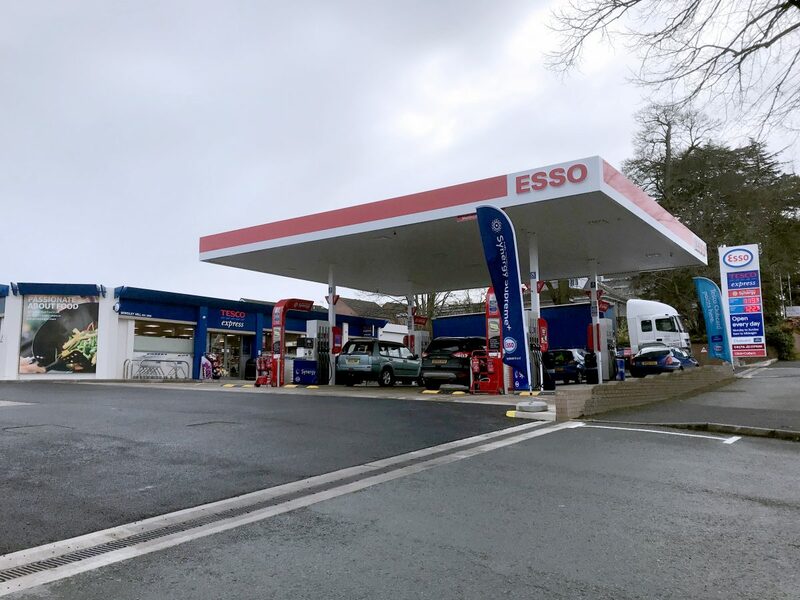 In order to minimise disruption to the fully operational site and to allow trading to continue whilst the project progressed, we worked with the contractor to carefully plan the works. 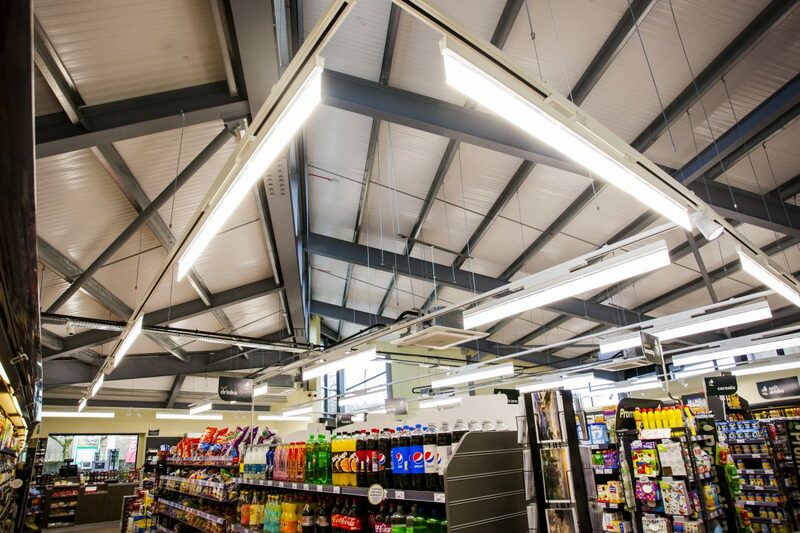 To ensure the project was delivered efficiently, the work was undertaken using the BIM software Revit. 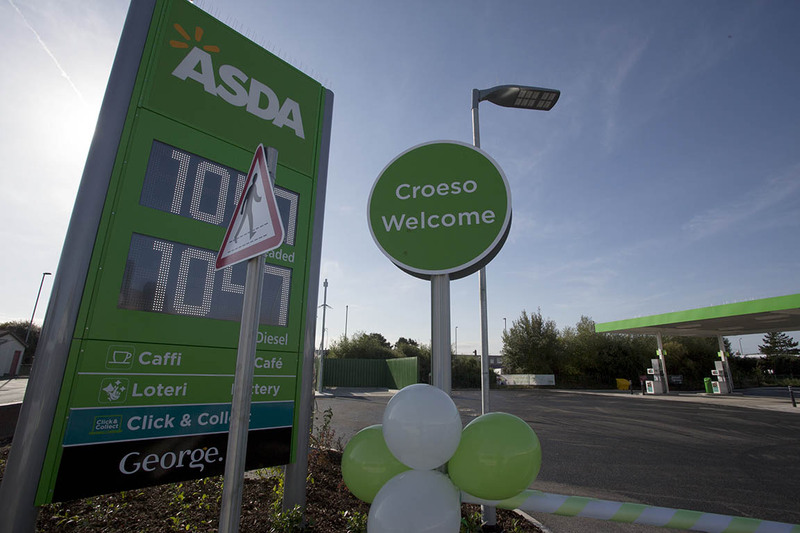 This facilitated the delivery of the scheme on time and to budget within the 11 week programme.